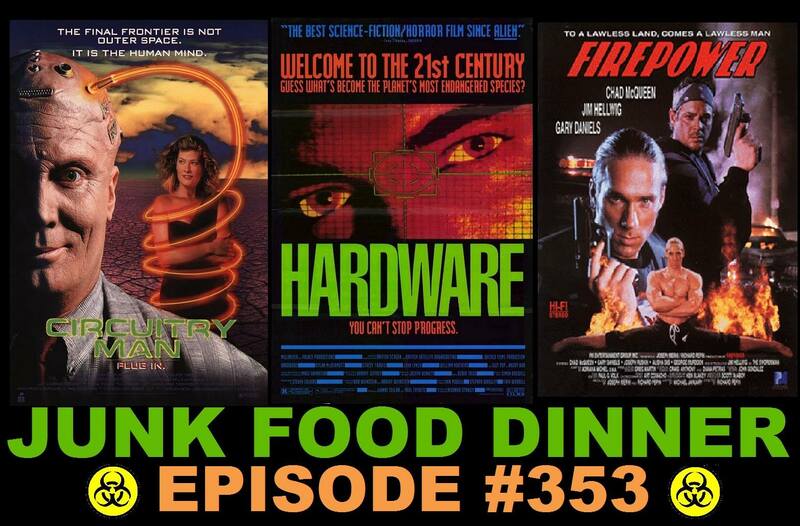 This week, we install Windows 95 and break out our Sega CDs for a Full Motion Video theme show. 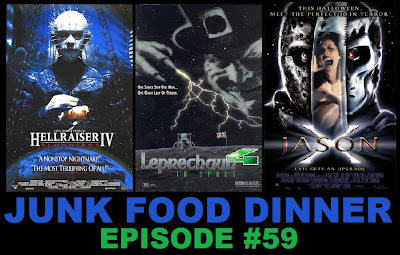 Back in the olden days of the mid-90s, video game companies were experimenting with putting real actors and real movie clips and elements into video games. 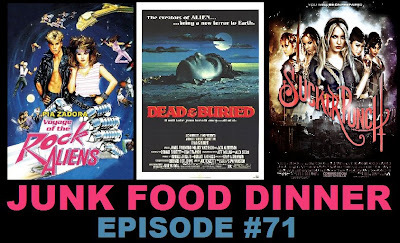 And it's up to us to revisit them. 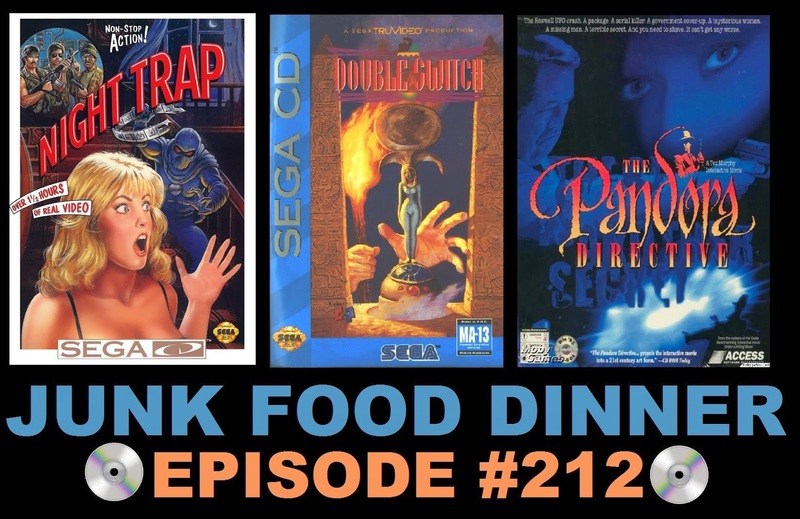 First, one of the most controversial horror video games ever: Night Trap from 1992. 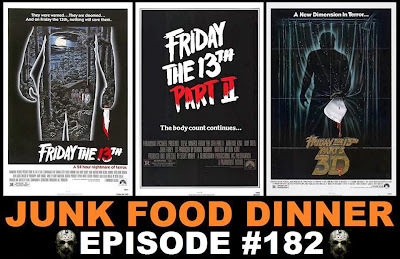 This game puts you right in the middle of an 80s slasher flick (it was filmed in '87) and led to congress getting their jimmies rustled and creating the video game ratings system we have today. 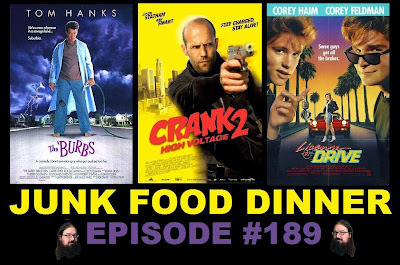 Next, Corey Haim recruits you to rescue him ... by setting traps in his apartment building in 1994's "Double Switch." 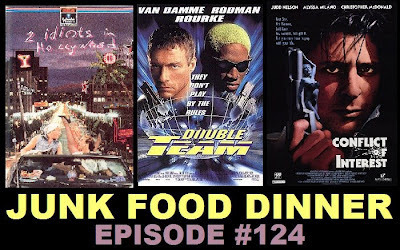 The game also stars Debbie Harry and R. Lee Ermy. 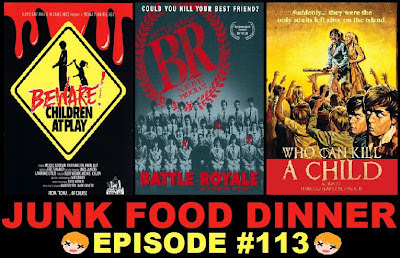 You, the player, go from room to room trapping and killing mafia guys while evading a mummy. 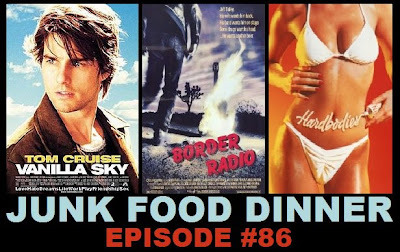 Finally, detective Tex Murphy stumbles on the biggest conspiracy in history in 1996's "The Pandora Directive." 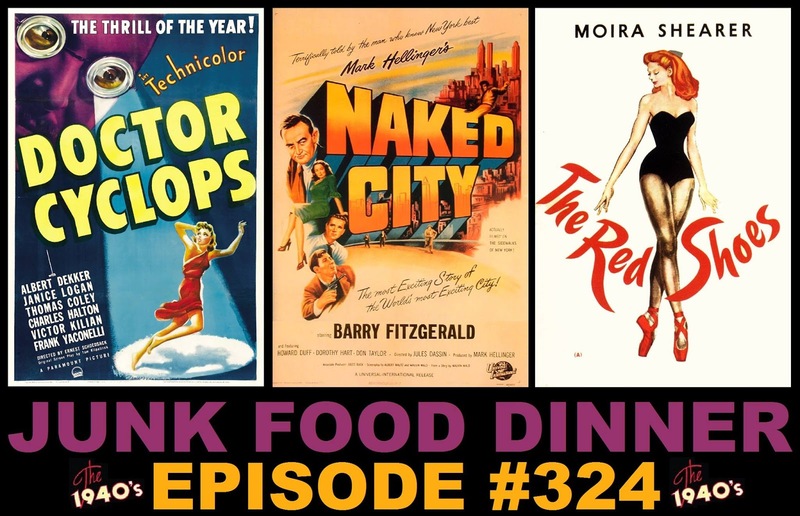 Tex Murphy was the star of a string of futuristic noir adventure games that were recently resurrected thanks to Kickstarter. 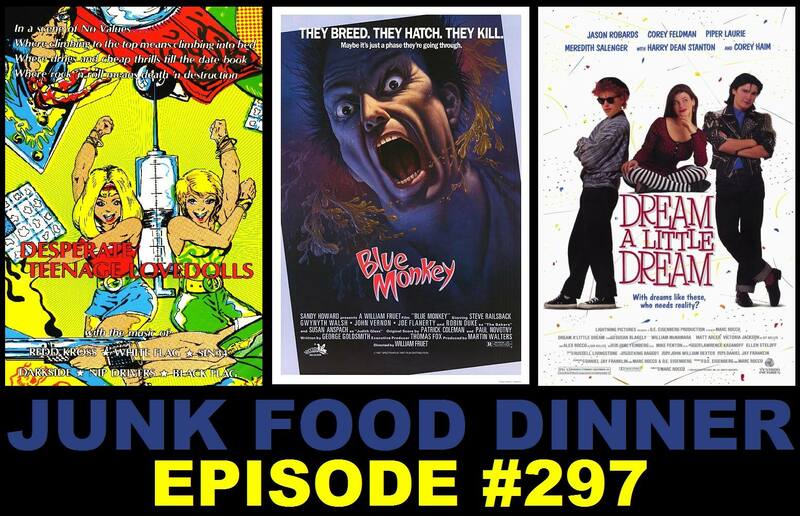 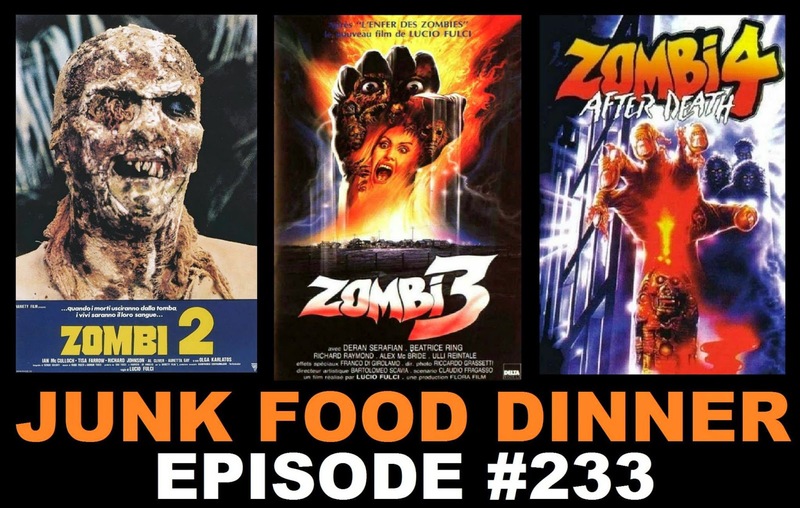 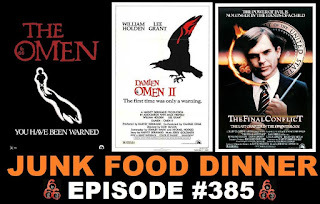 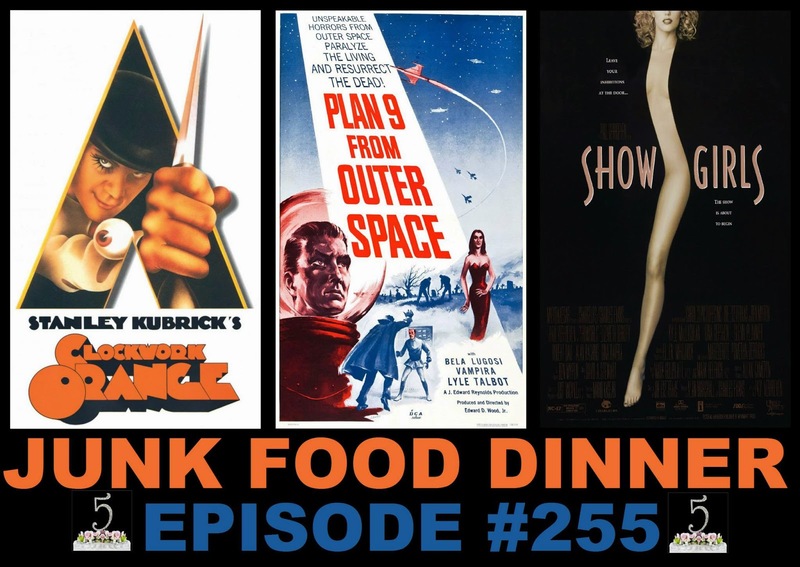 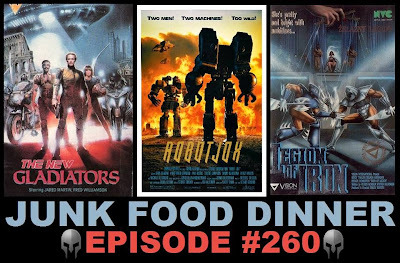 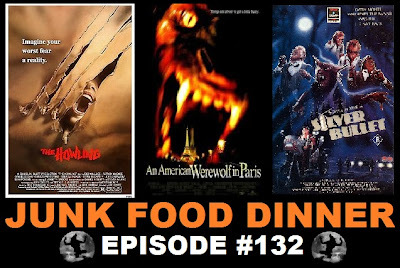 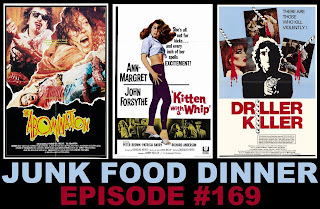 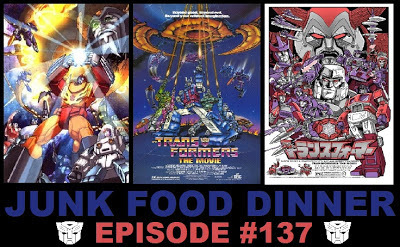 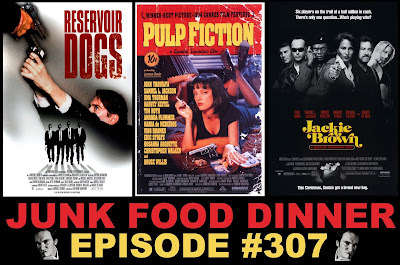 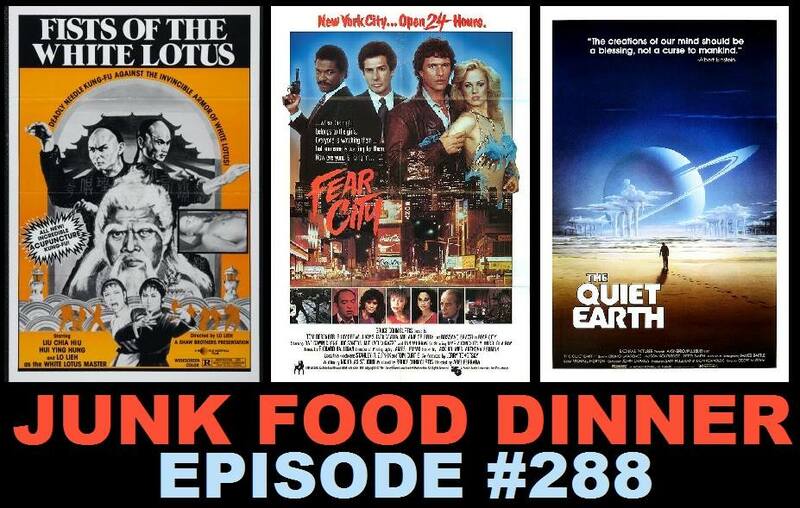 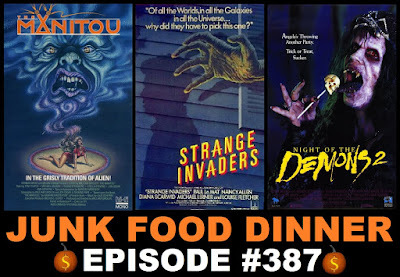 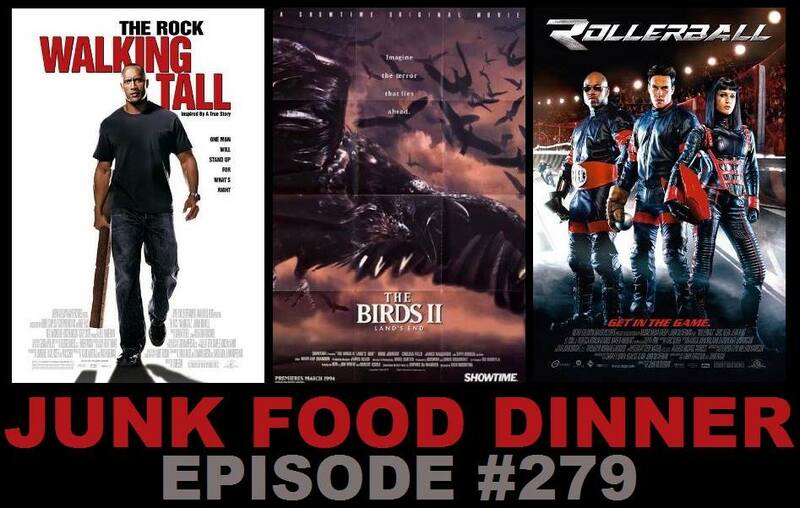 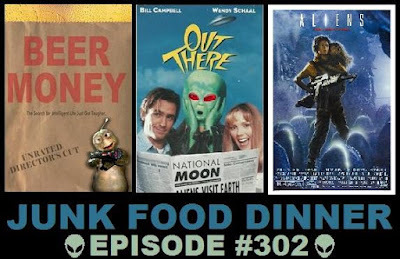 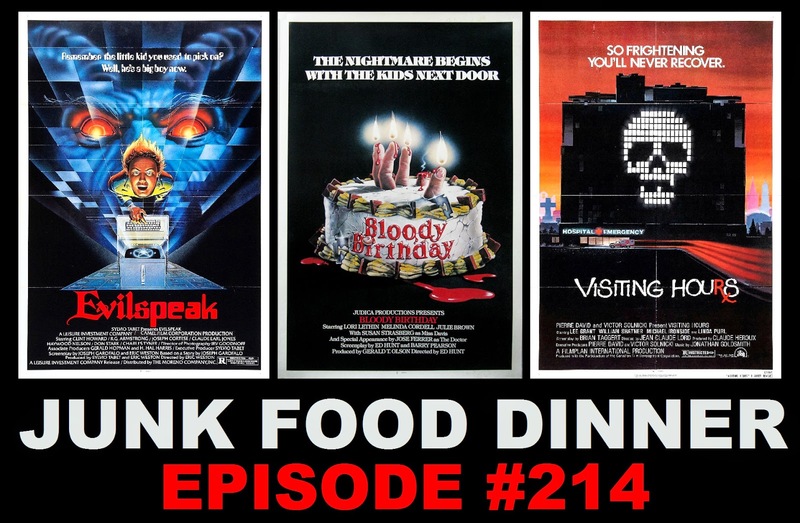 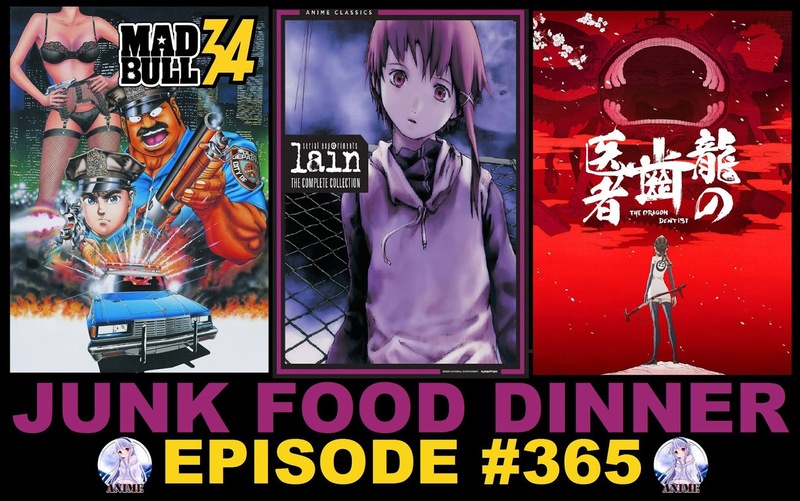 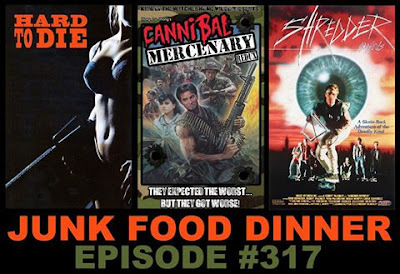 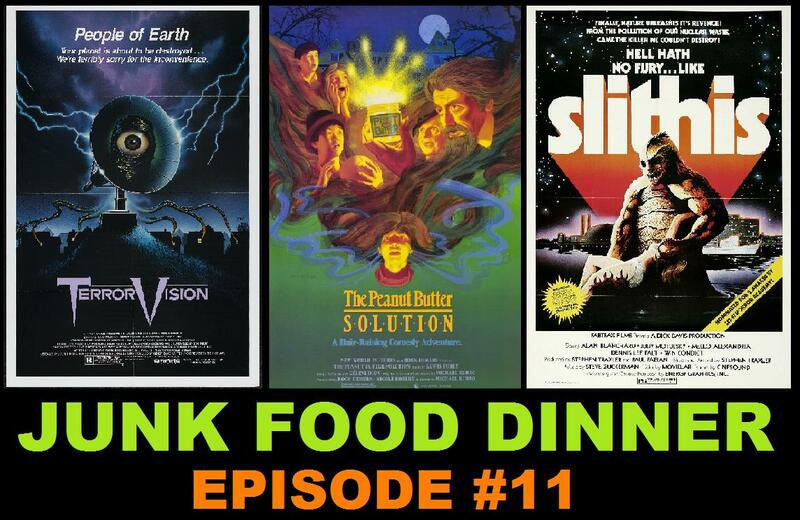 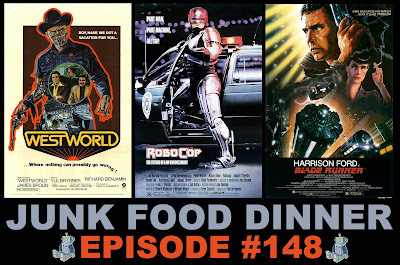 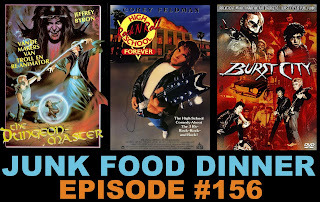 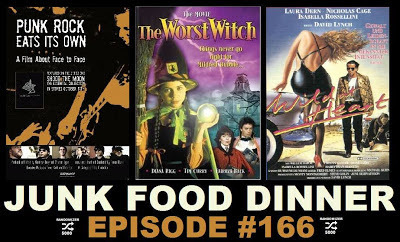 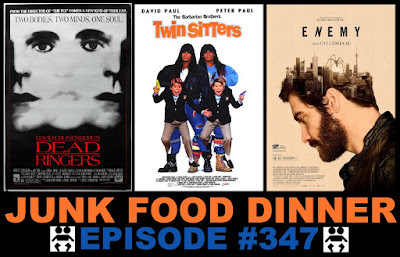 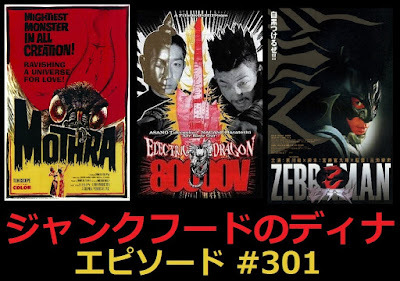 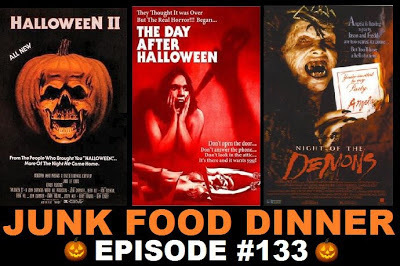 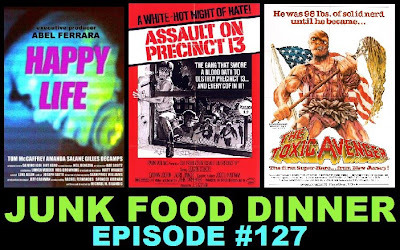 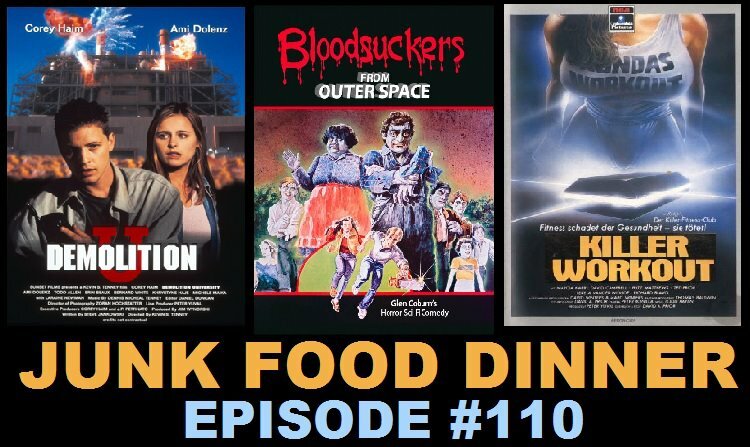 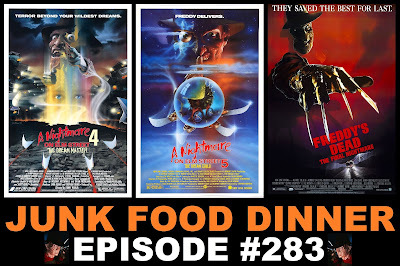 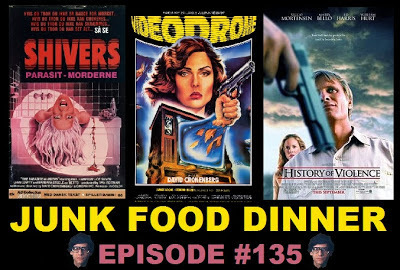 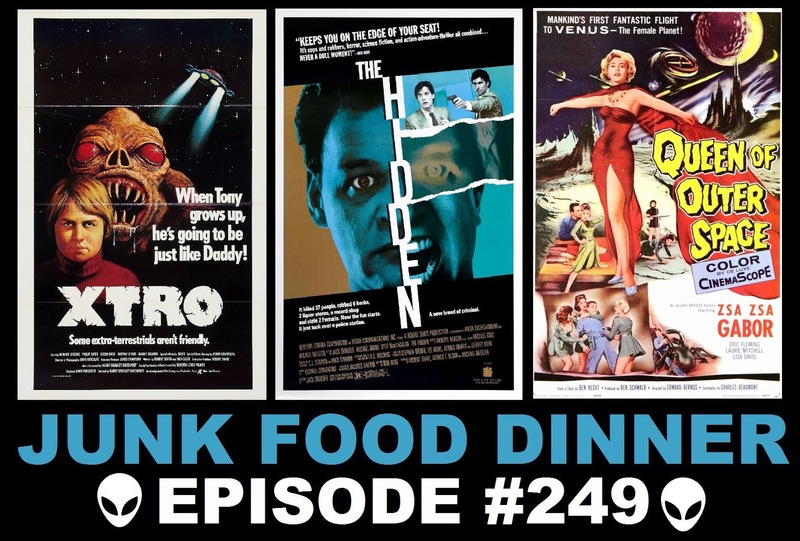 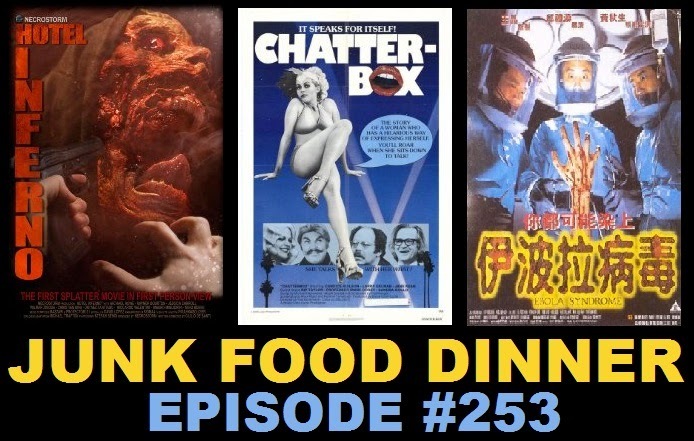 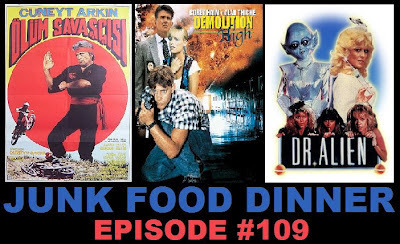 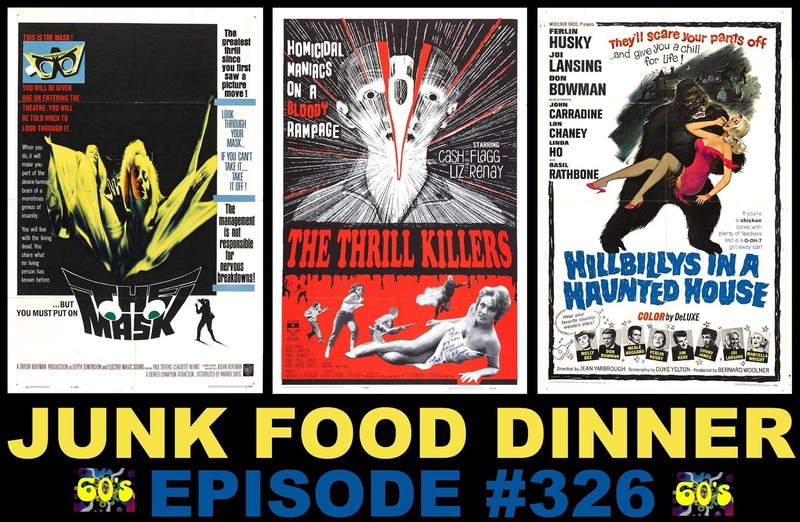 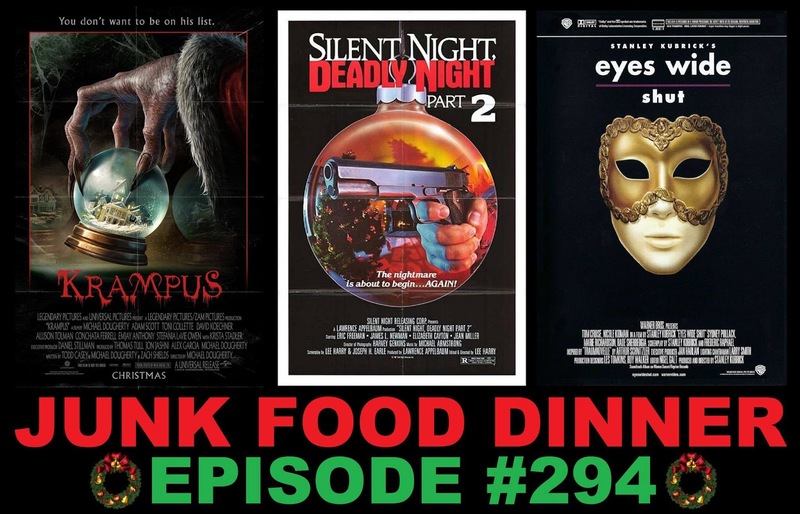 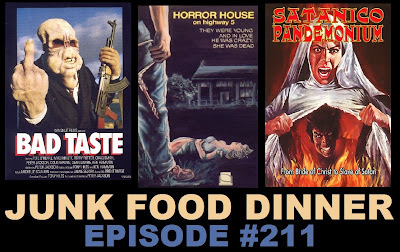 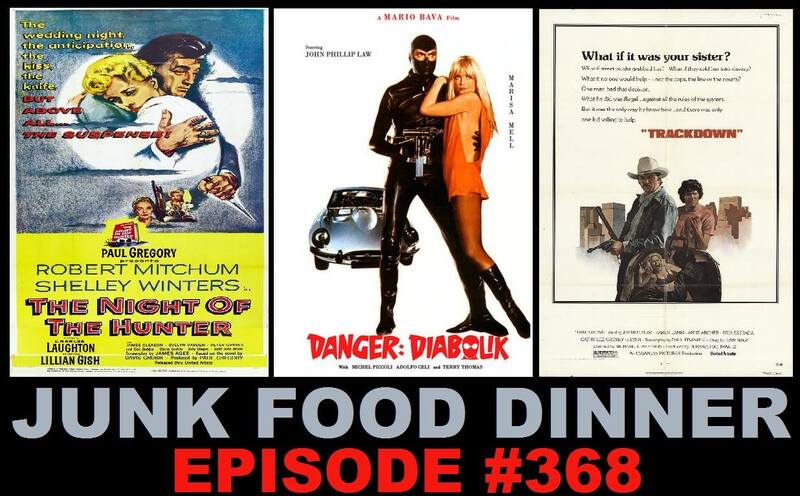 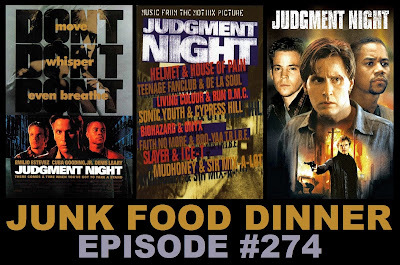 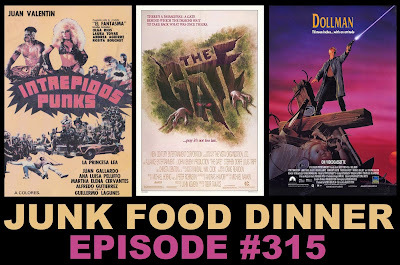 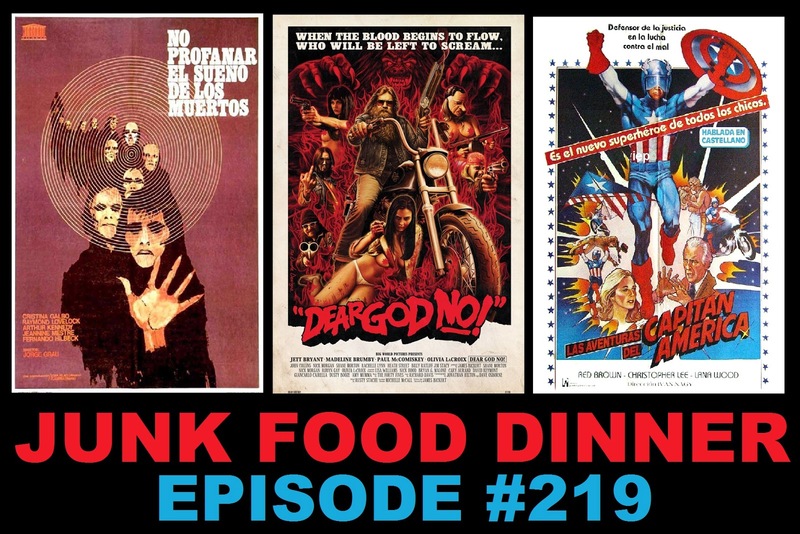 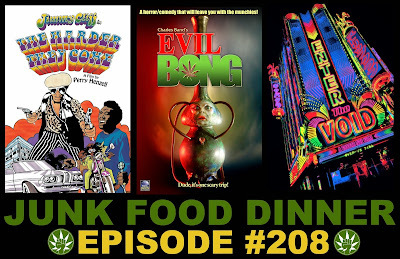 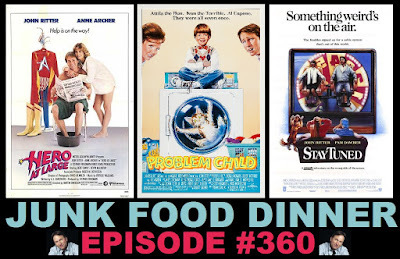 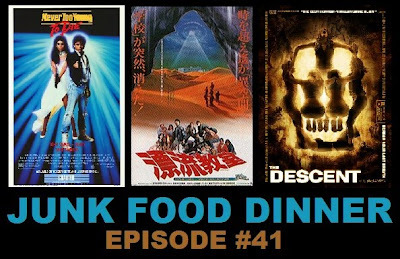 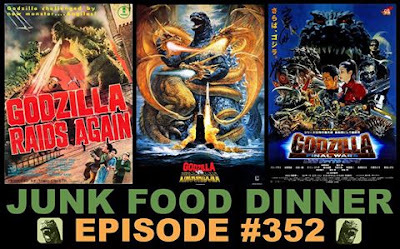 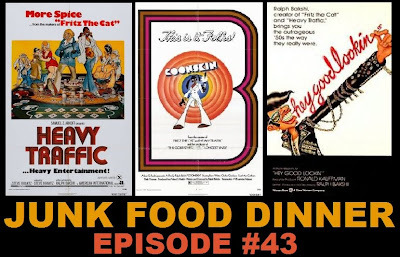 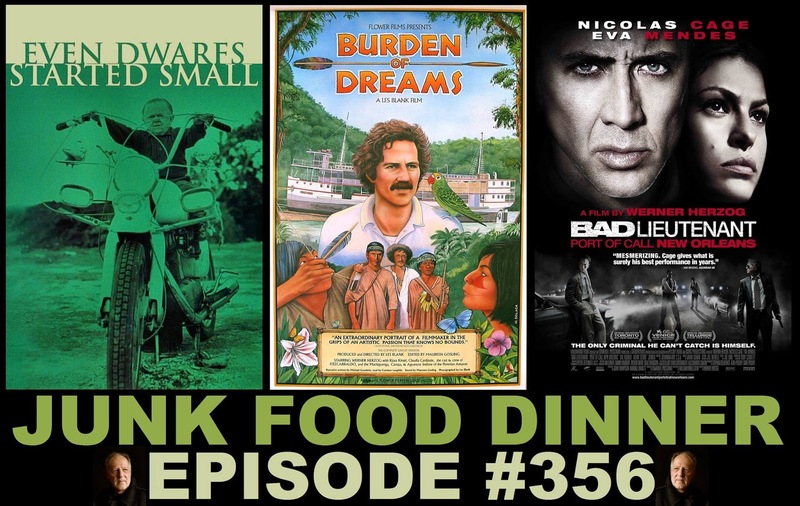 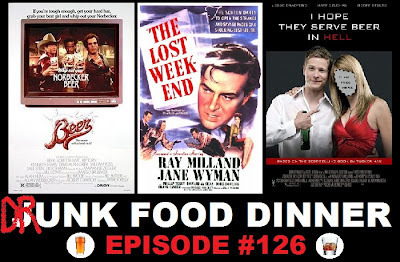 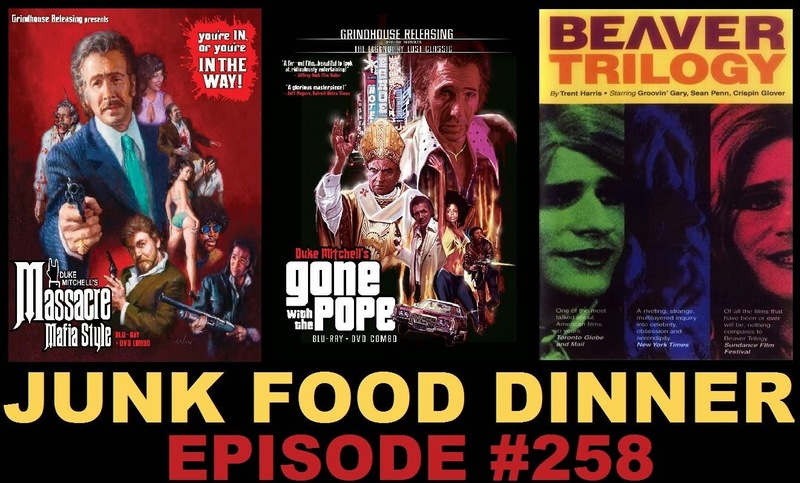 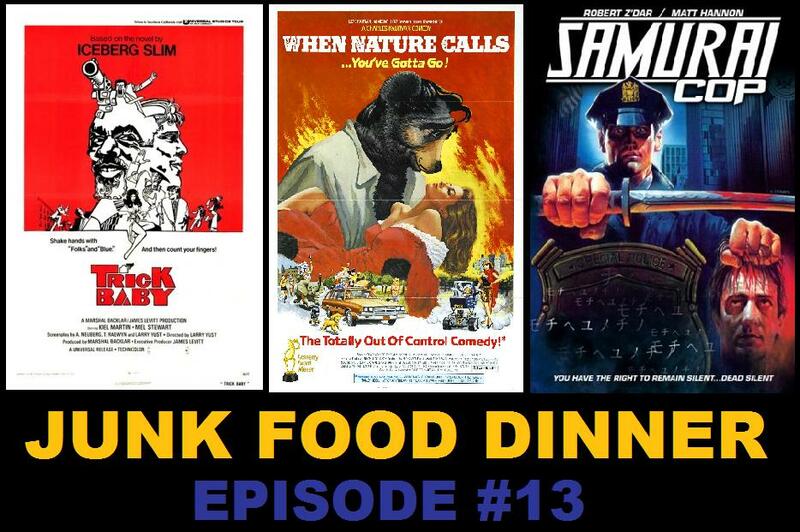 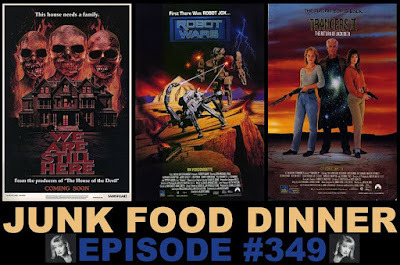 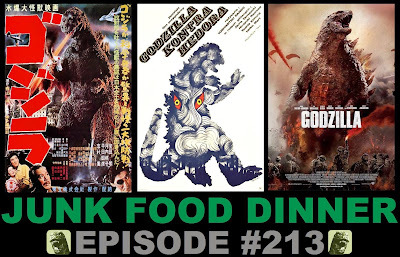 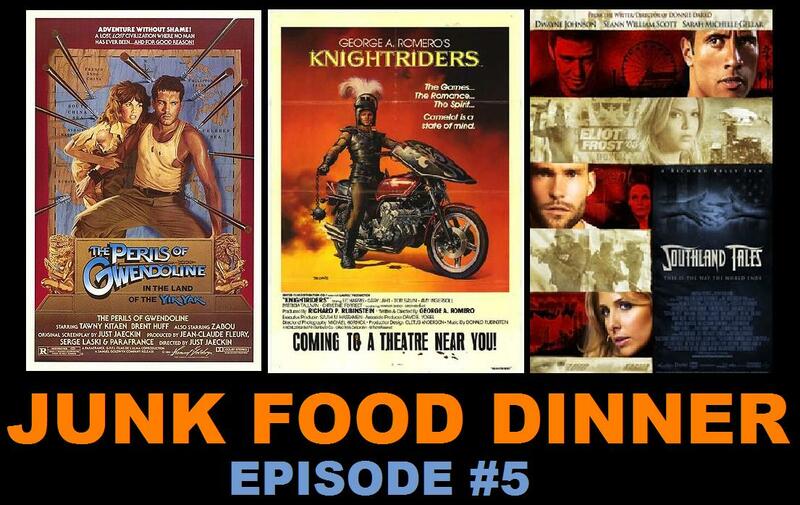 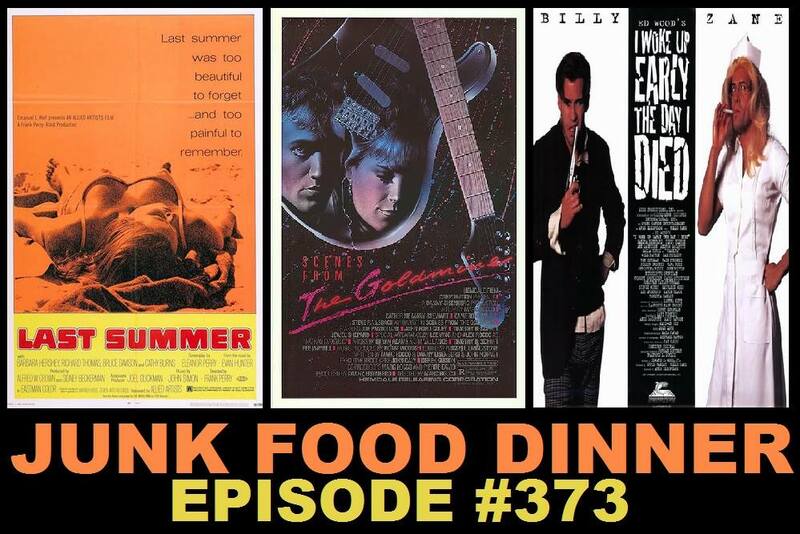 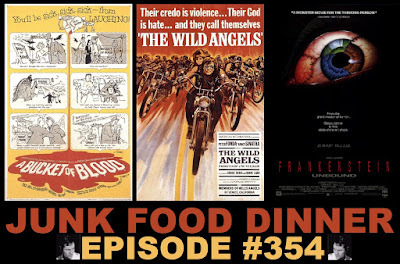 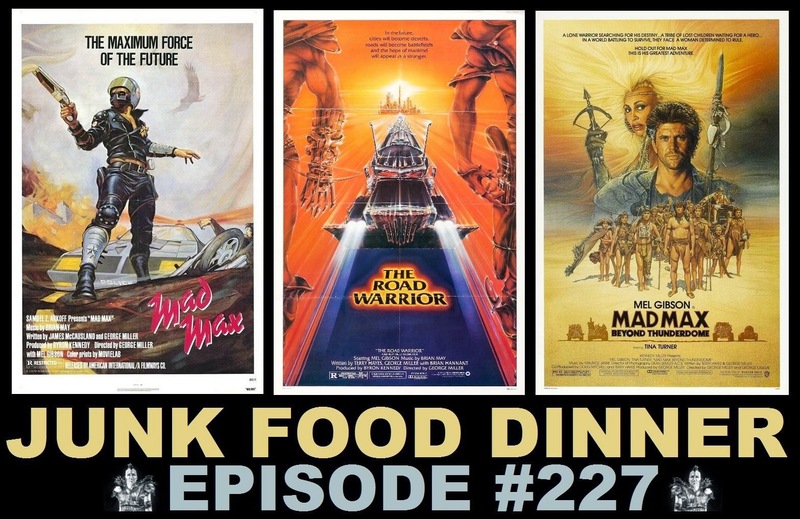 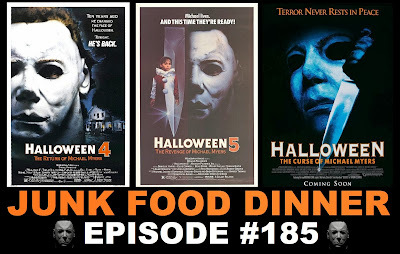 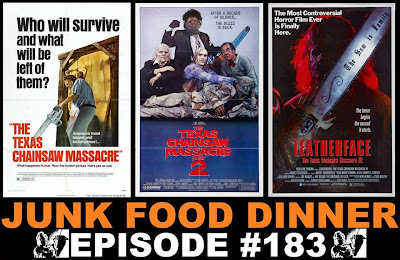 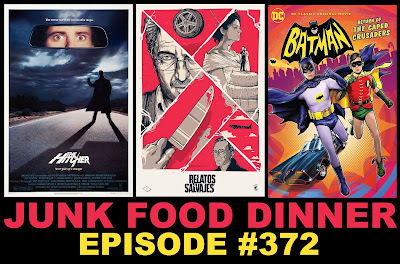 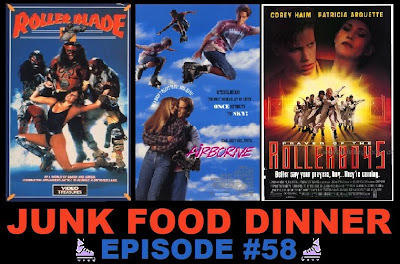 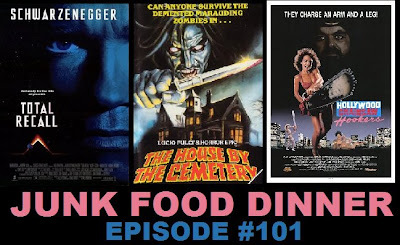 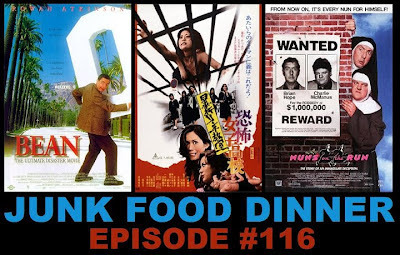 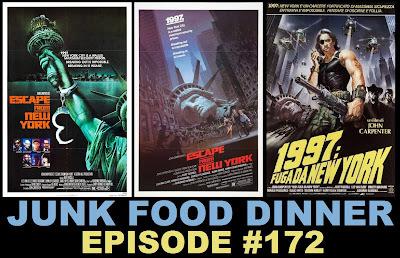 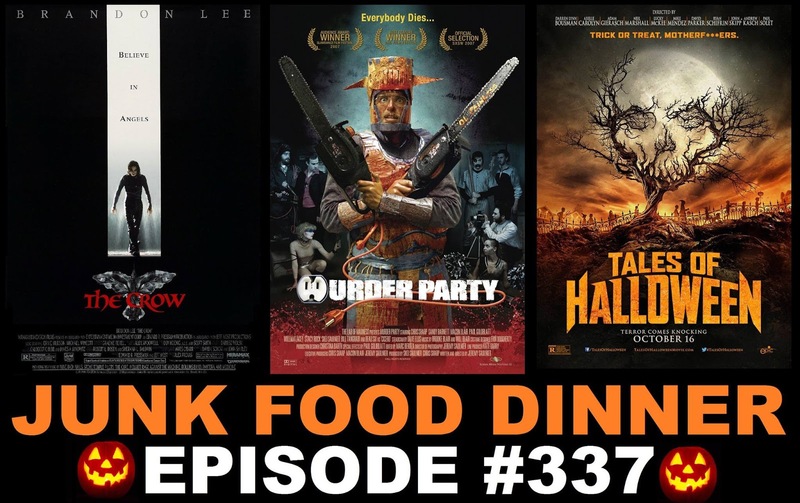 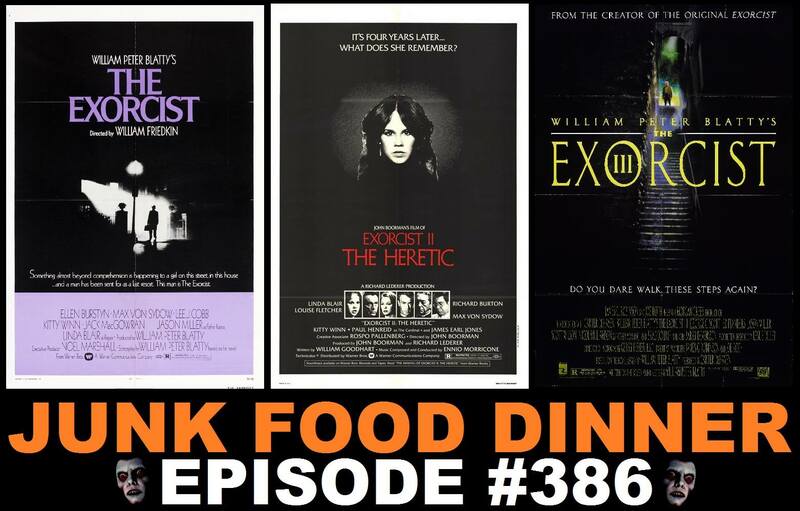 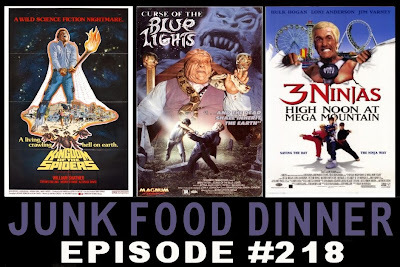 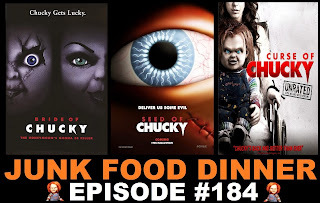 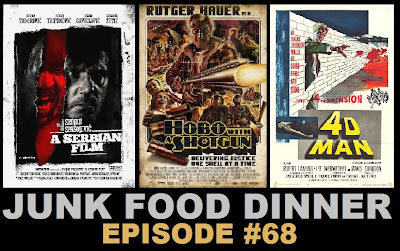 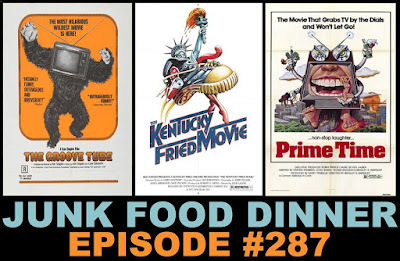 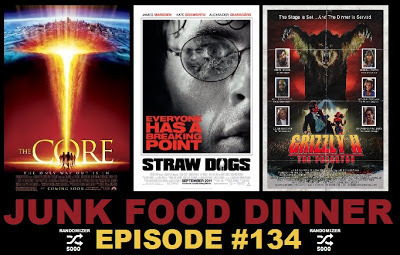 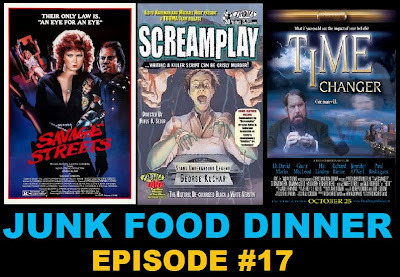 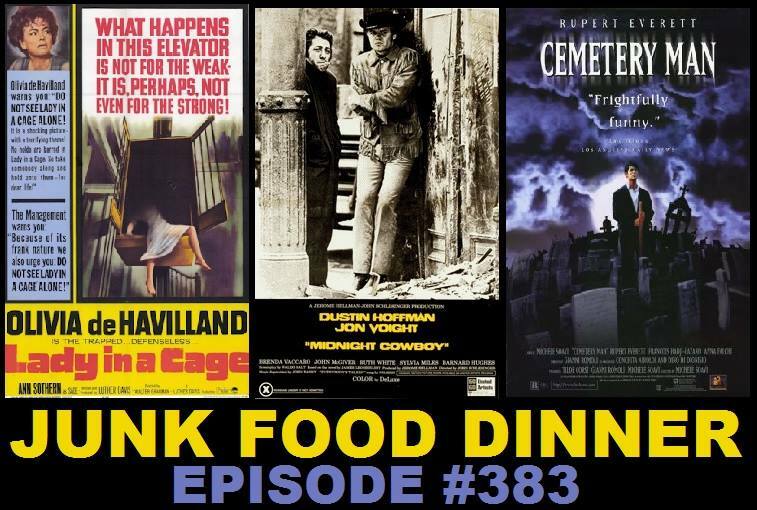 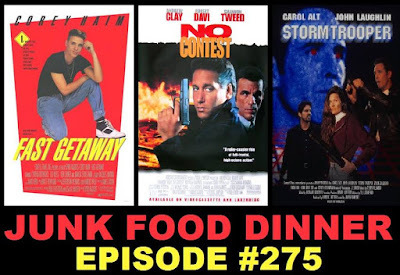 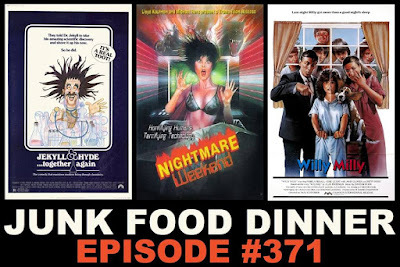 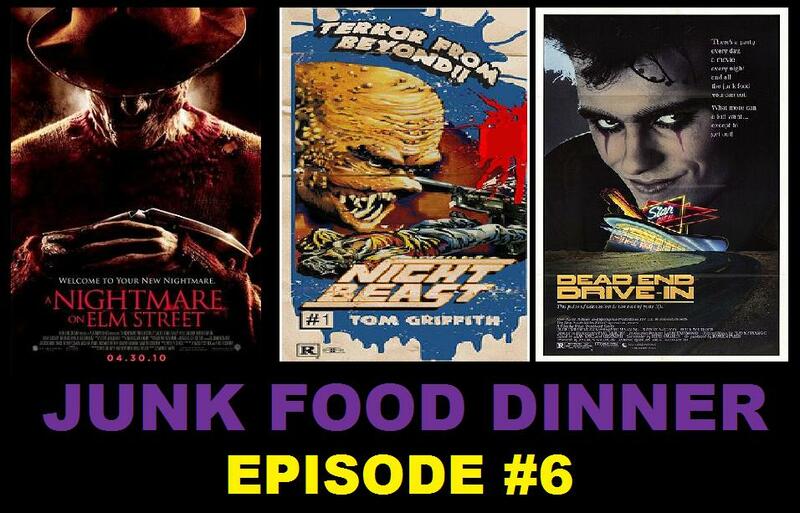 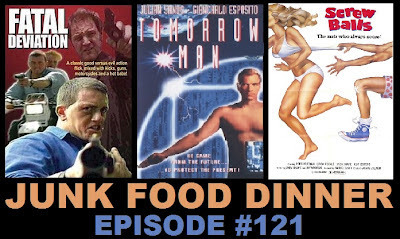 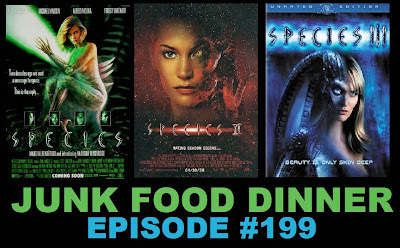 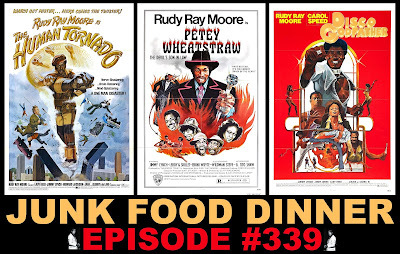 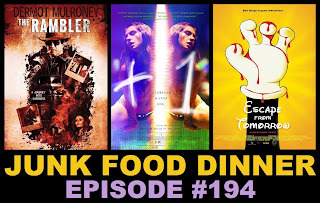 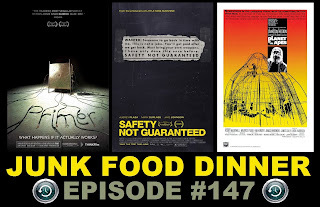 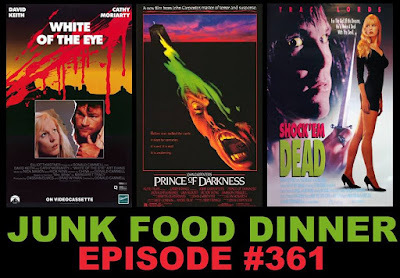 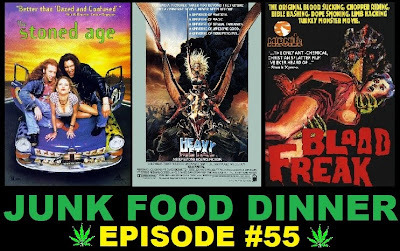 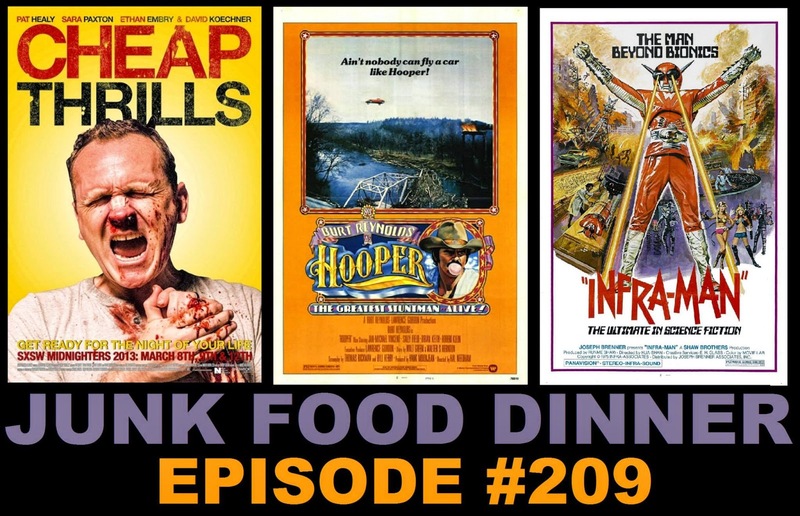 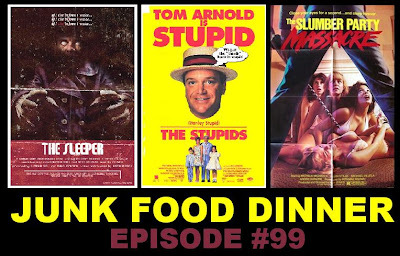 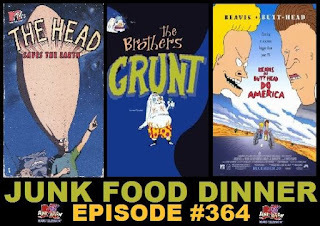 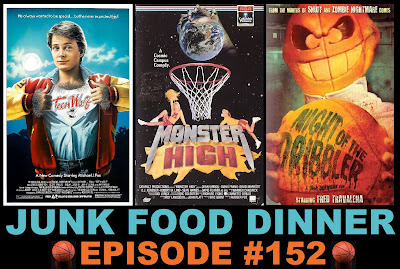 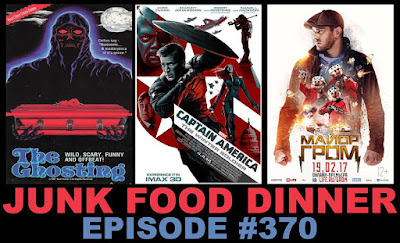 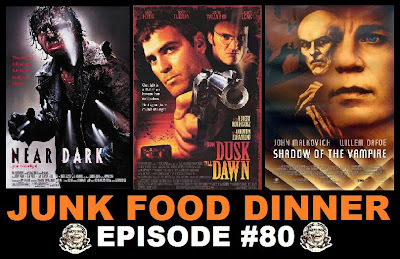 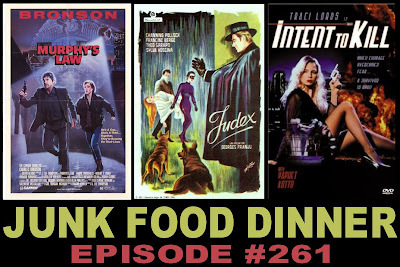 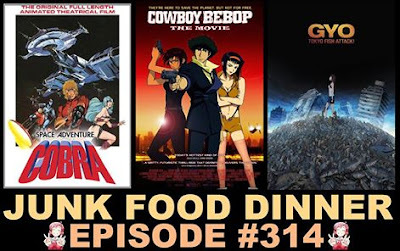 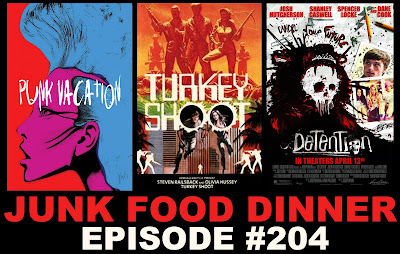 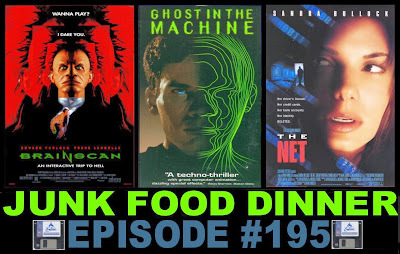 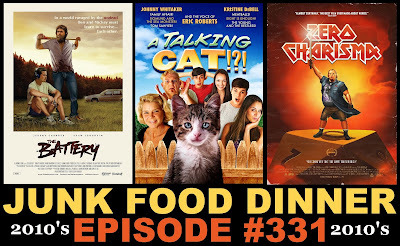 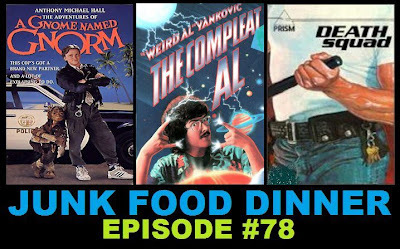 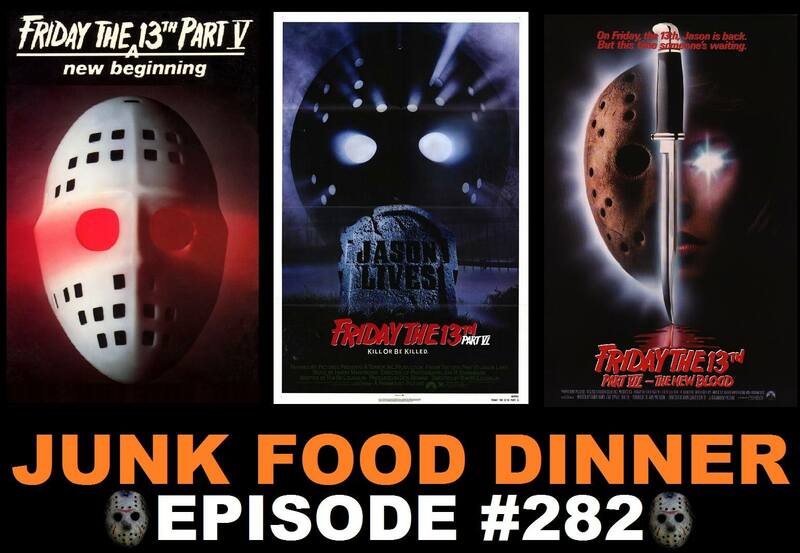 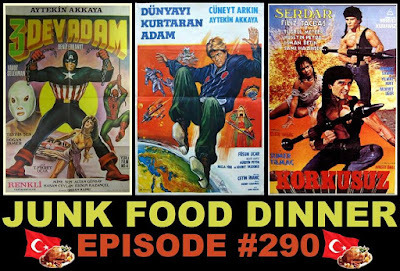 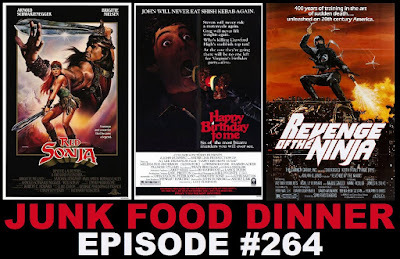 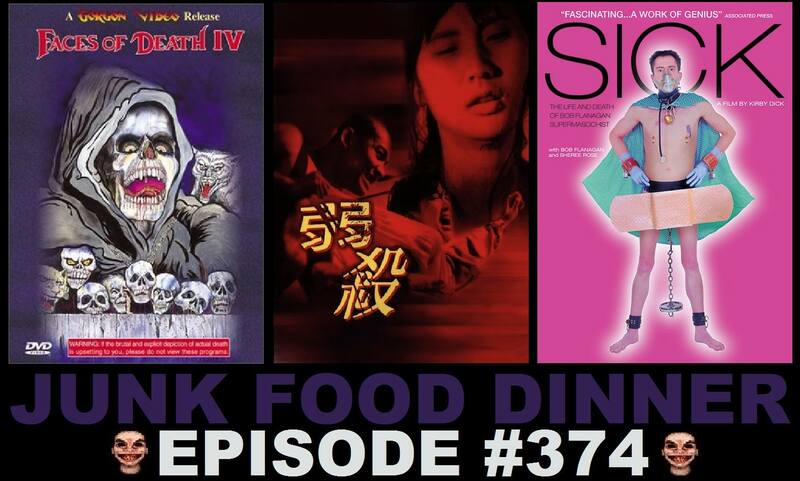 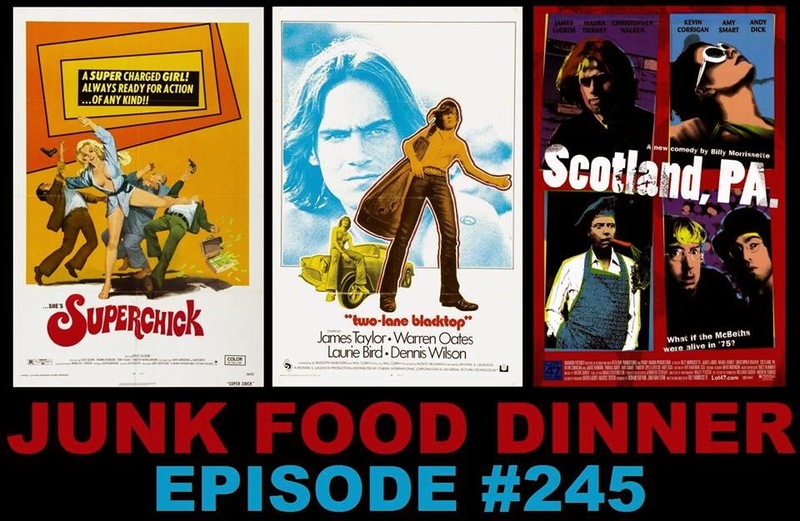 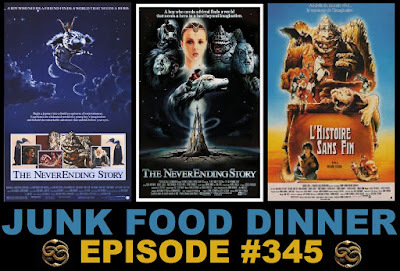 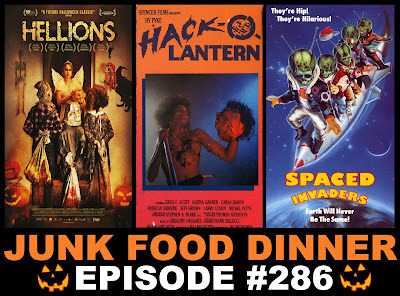 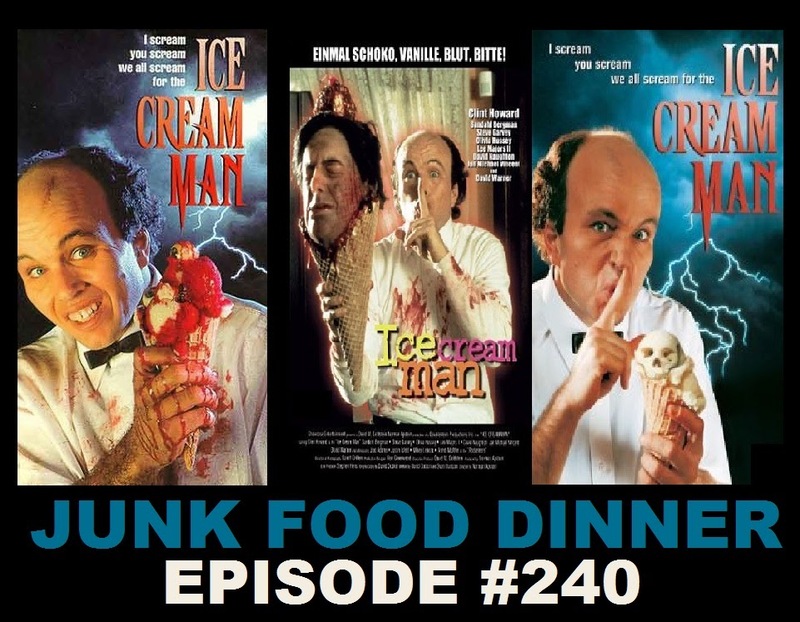 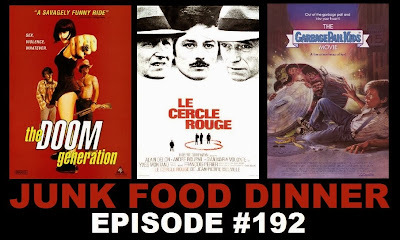 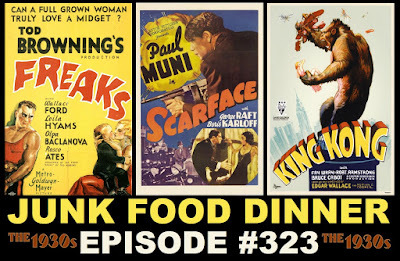 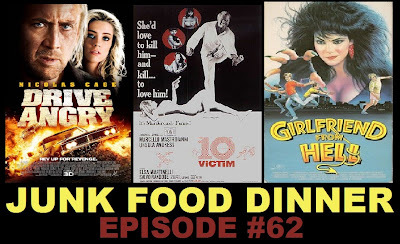 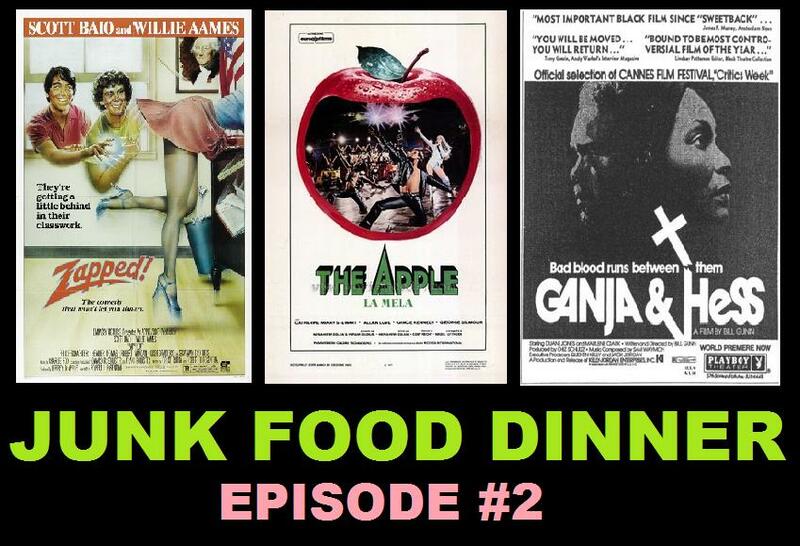 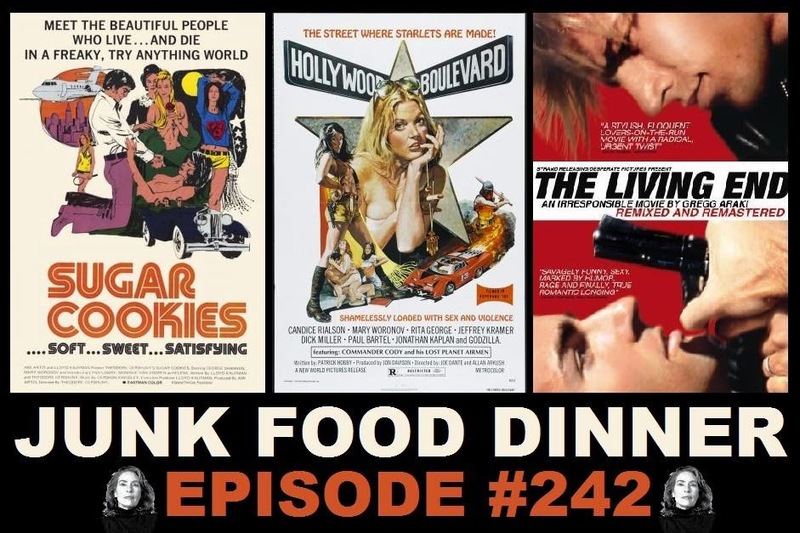 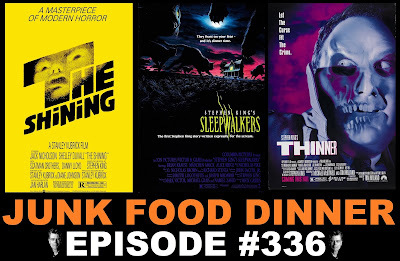 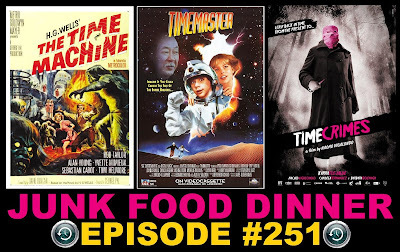 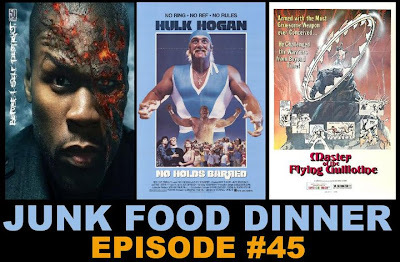 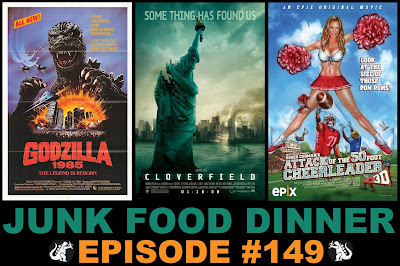 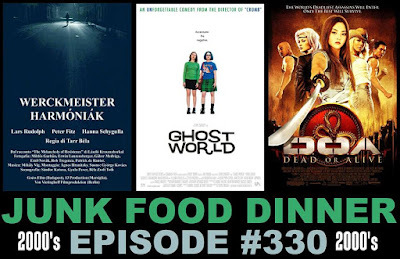 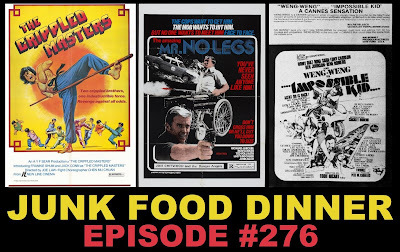 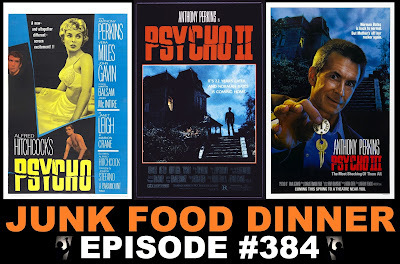 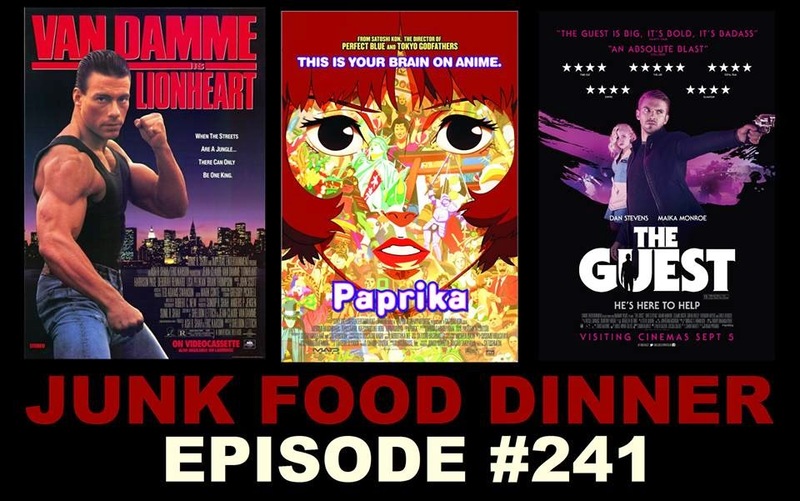 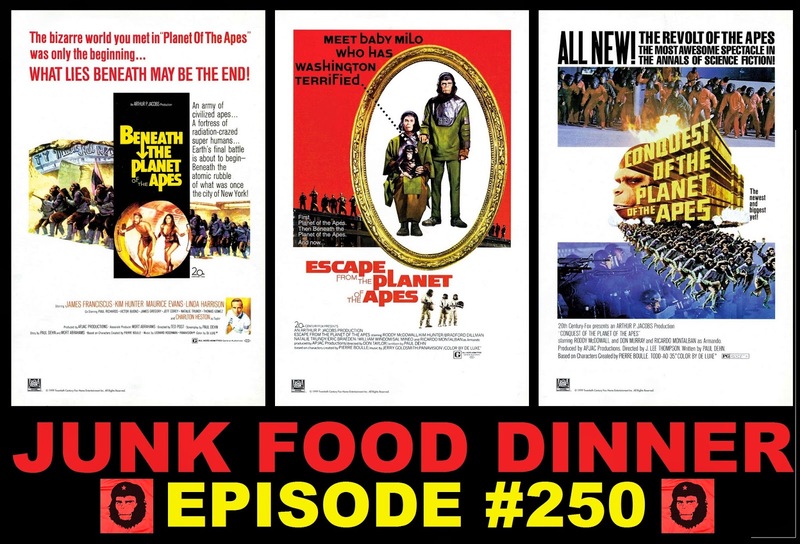 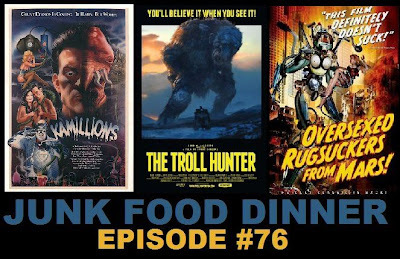 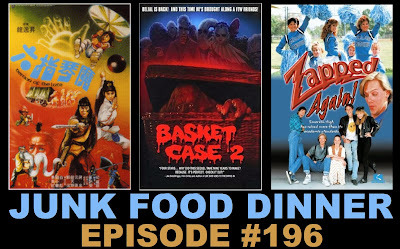 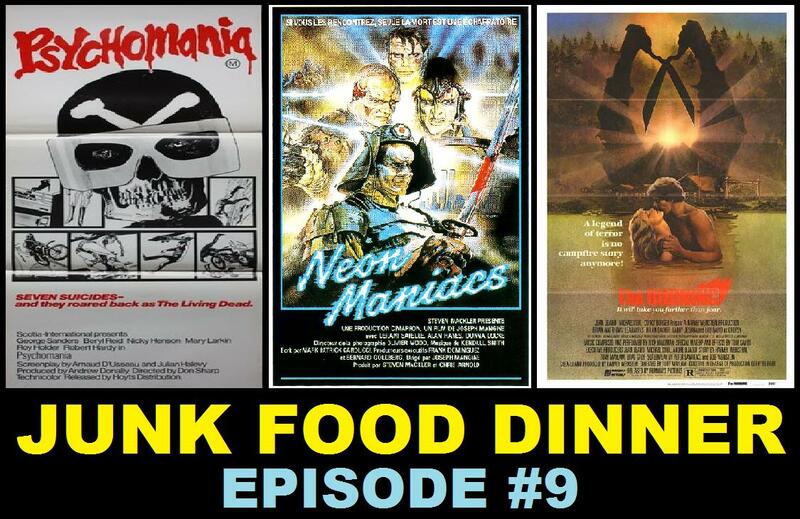 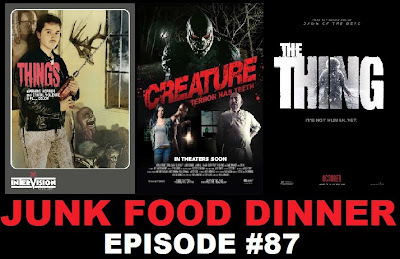 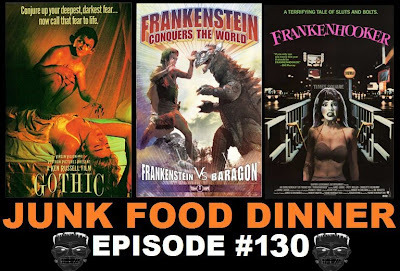 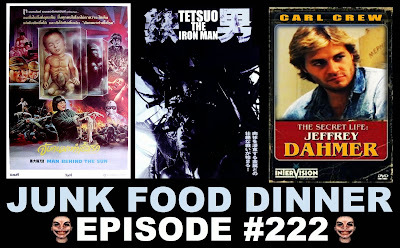 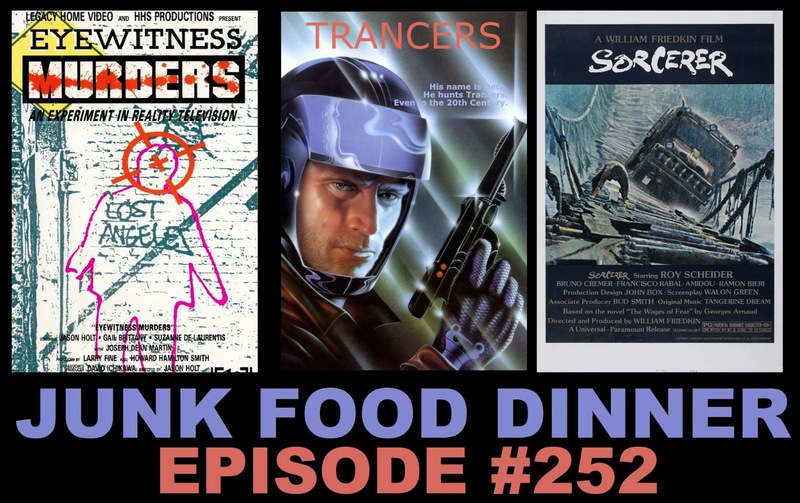 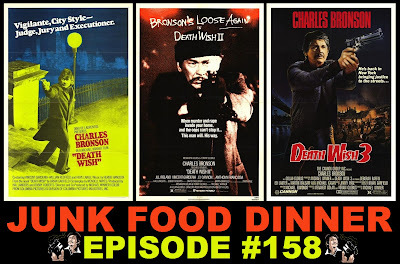 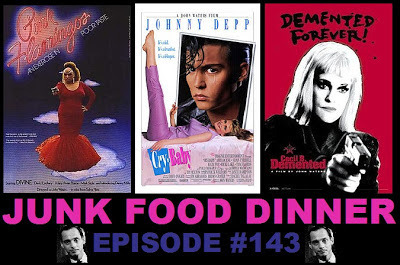 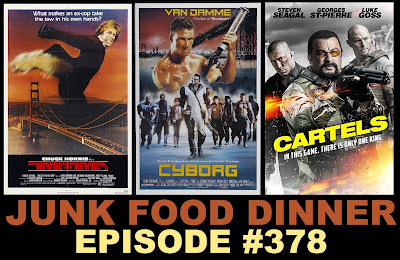 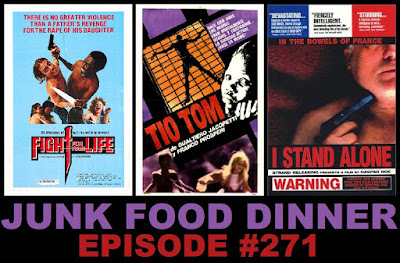 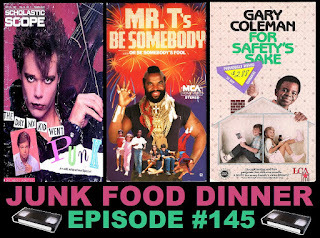 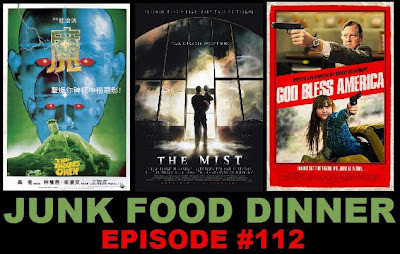 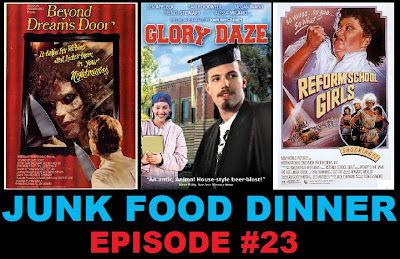 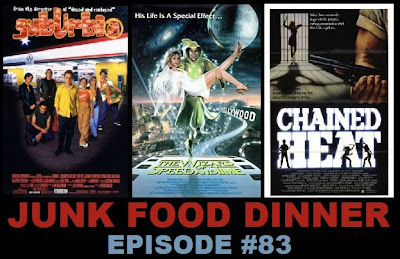 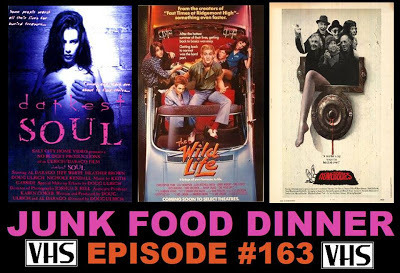 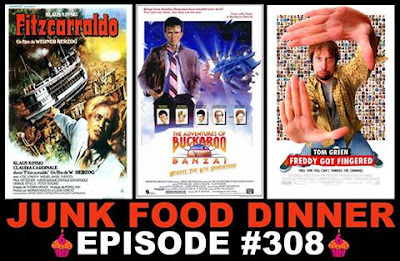 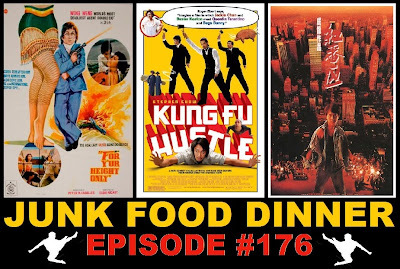 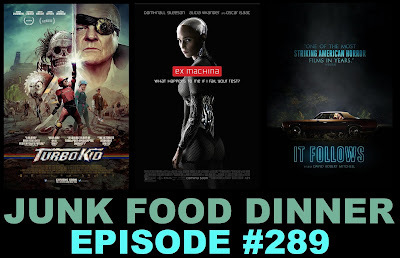 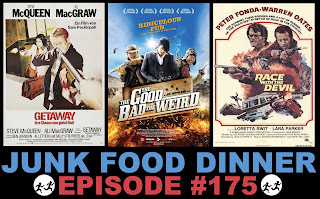 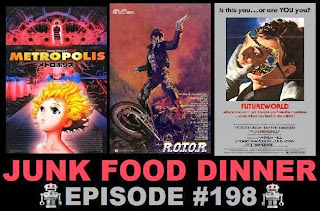 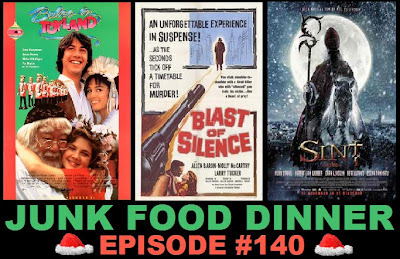 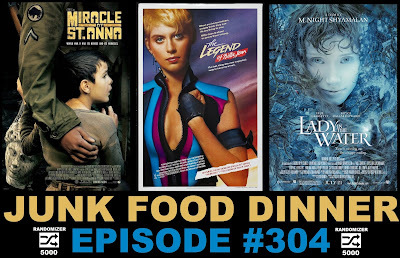 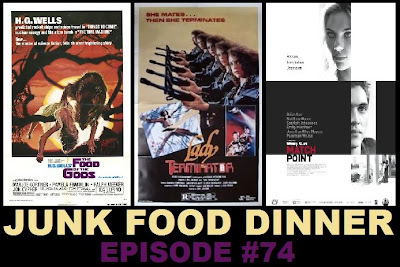 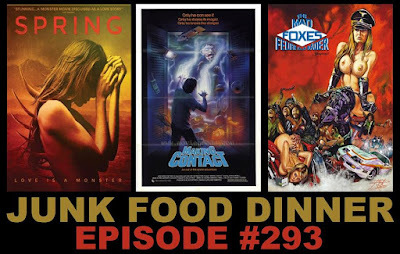 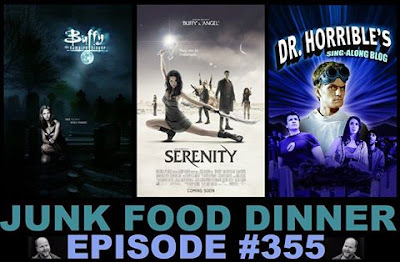 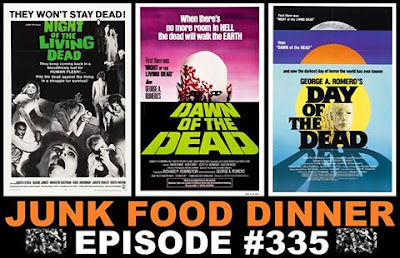 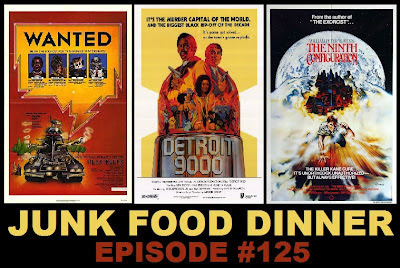 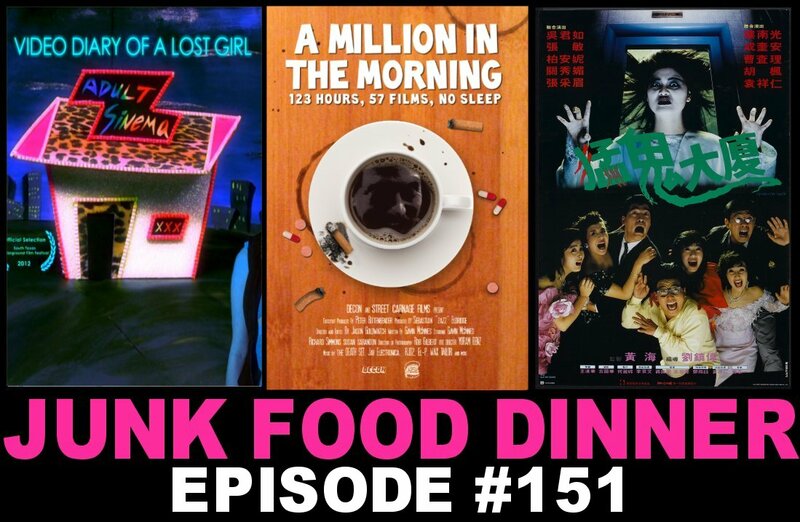 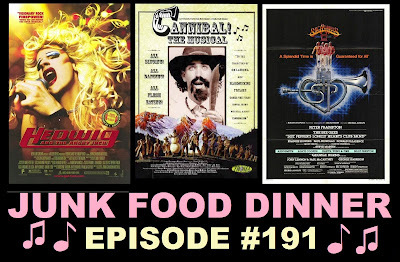 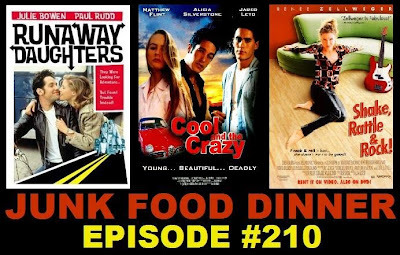 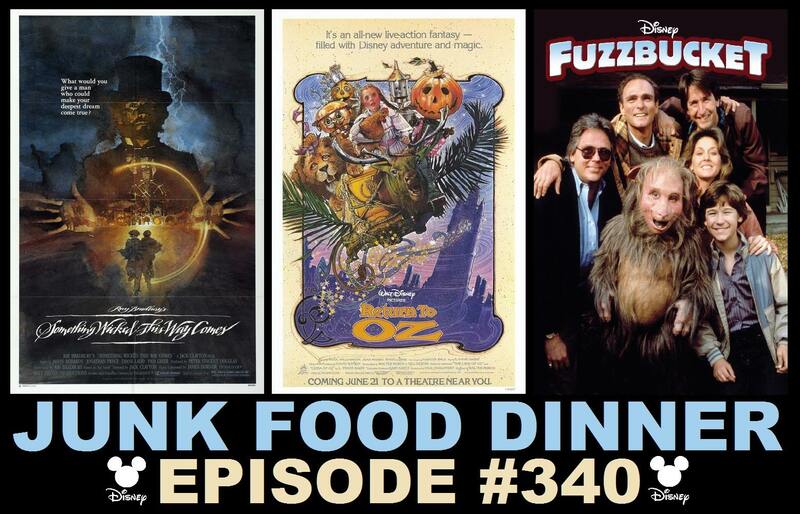 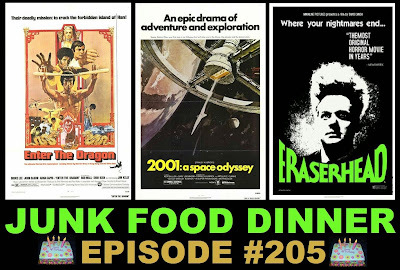 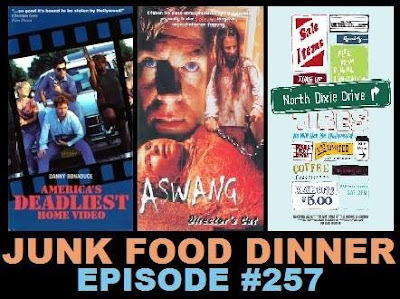 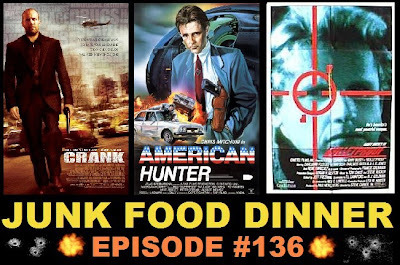 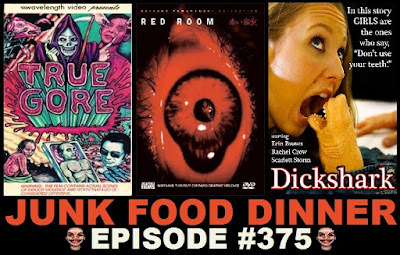 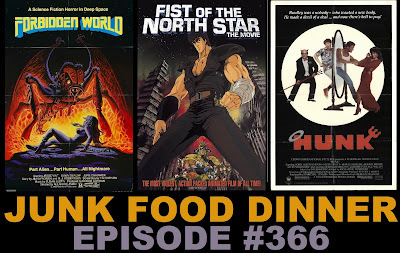 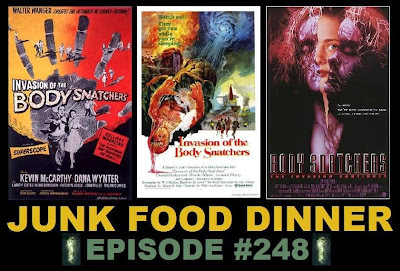 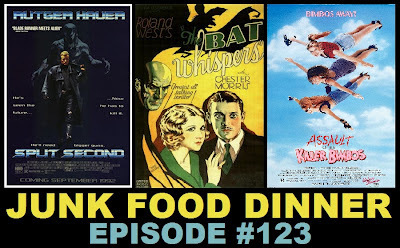 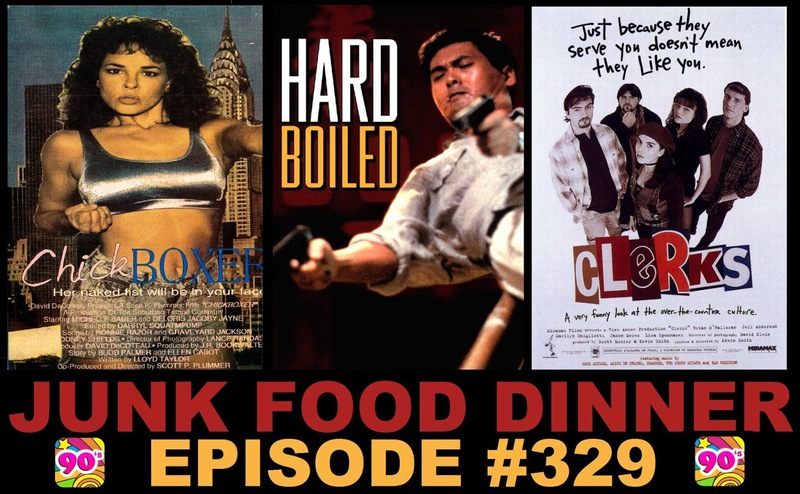 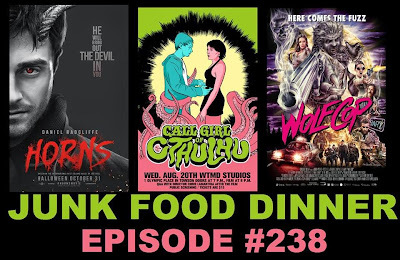 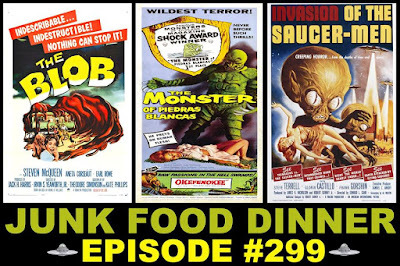 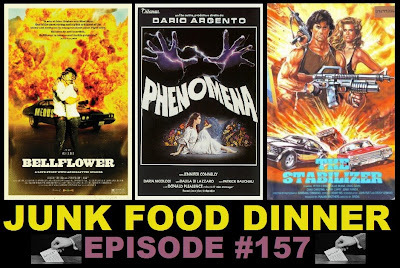 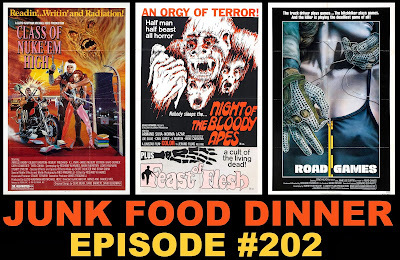 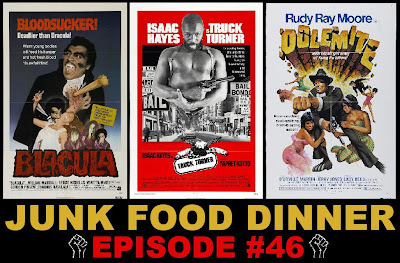 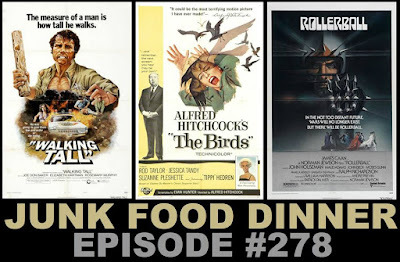 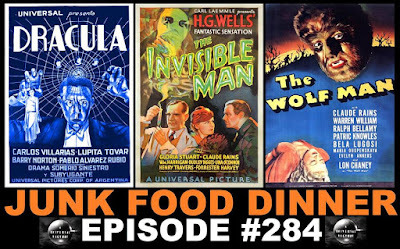 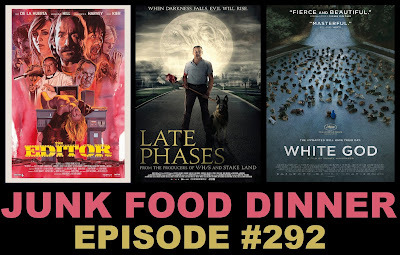 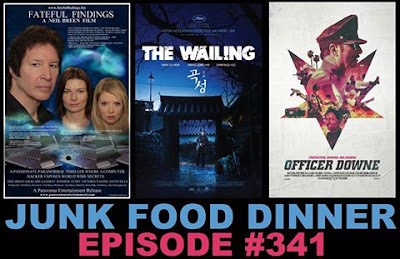 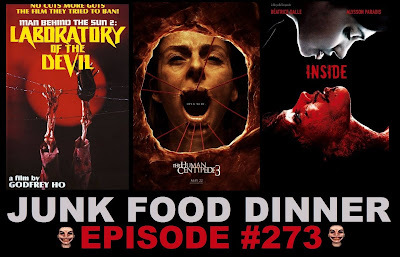 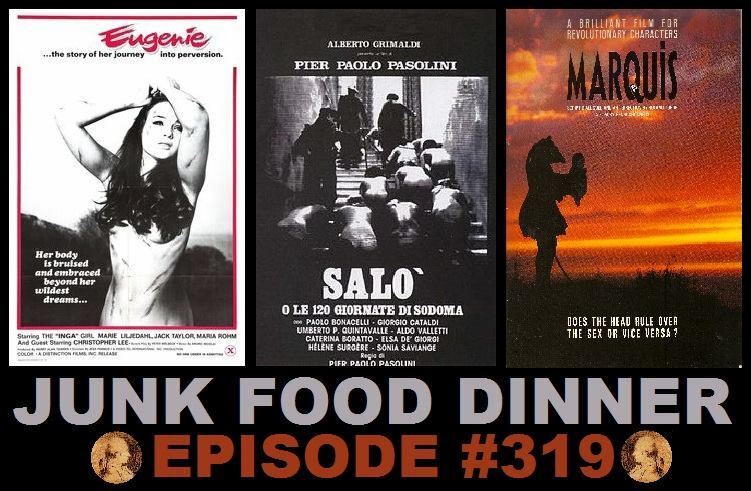 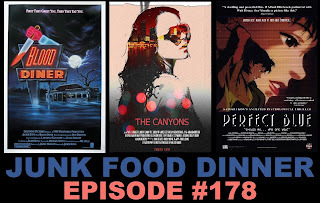 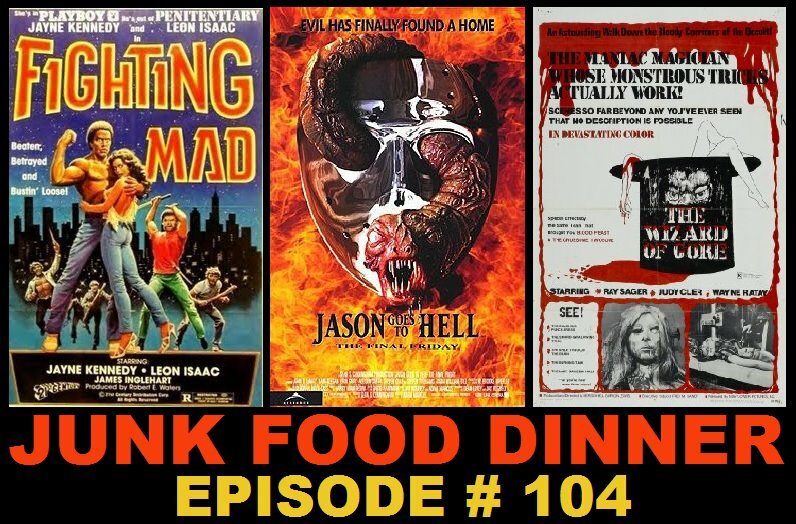 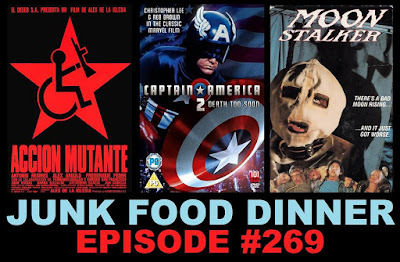 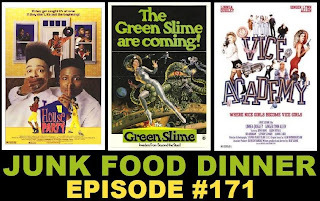 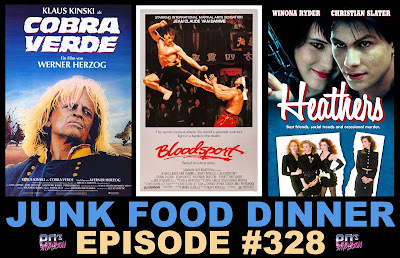 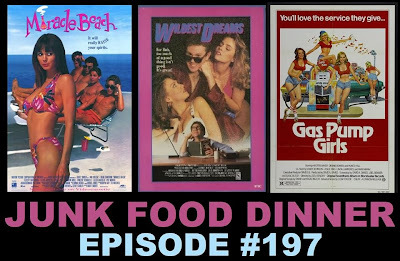 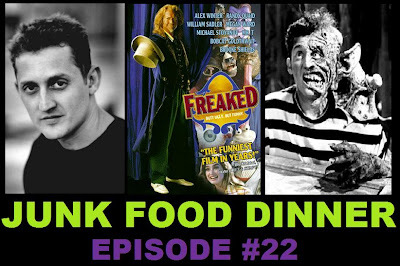 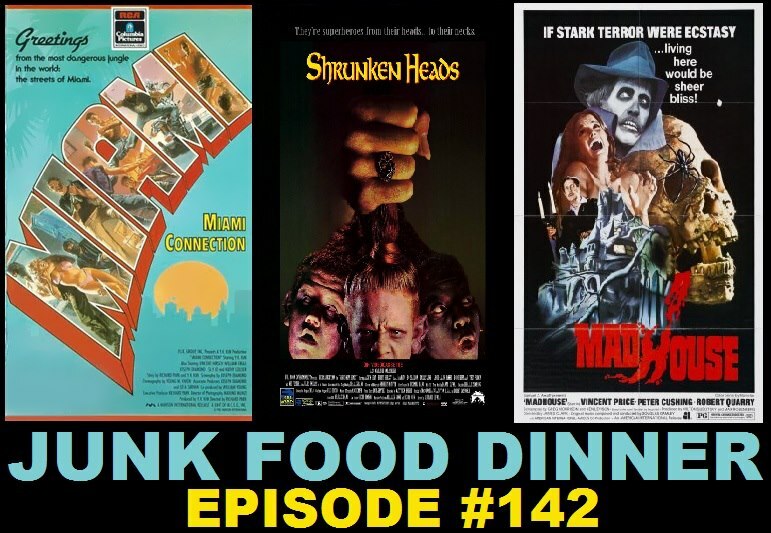 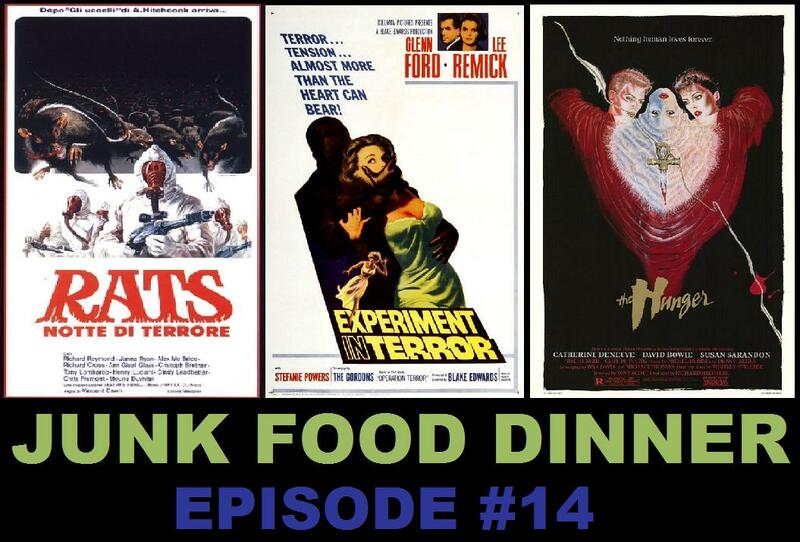 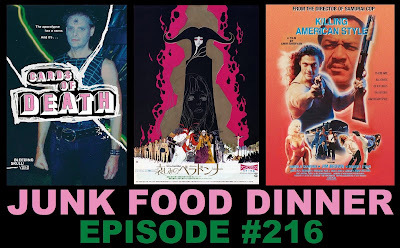 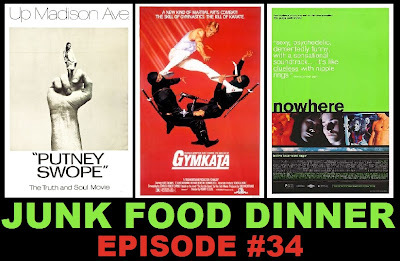 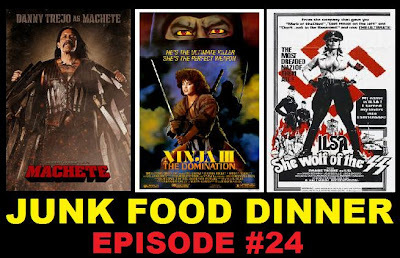 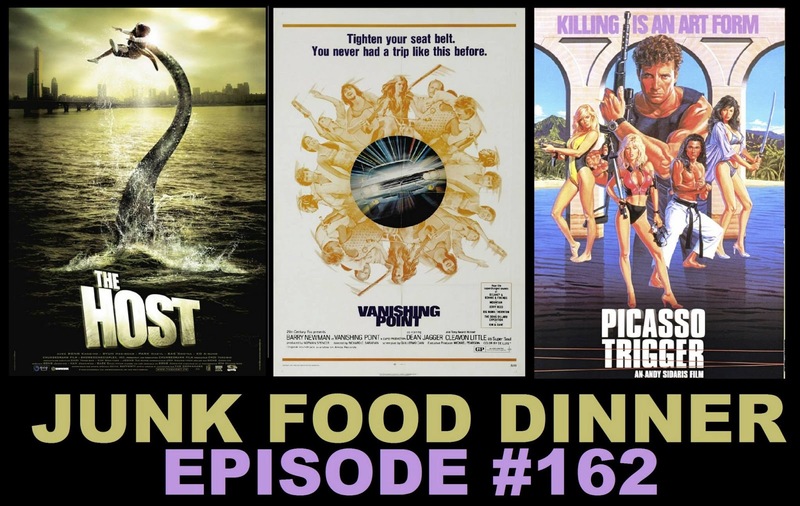 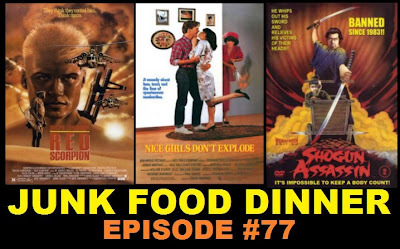 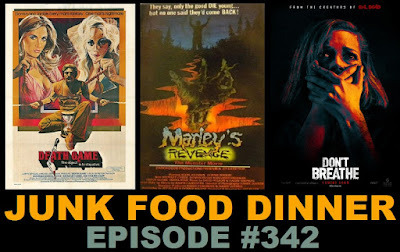 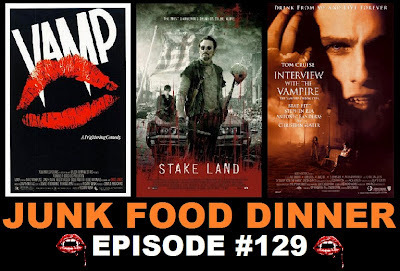 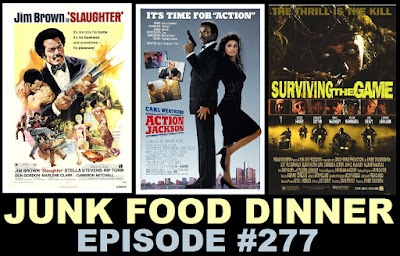 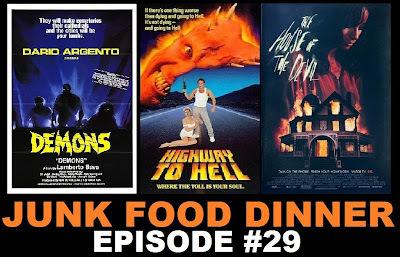 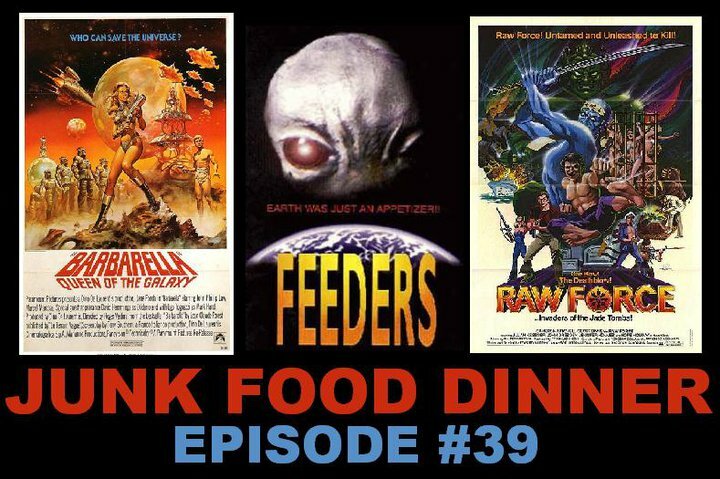 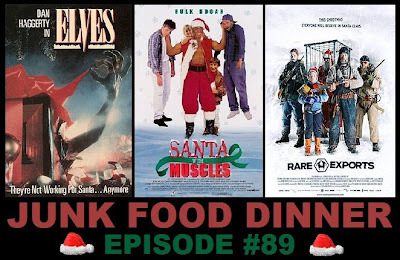 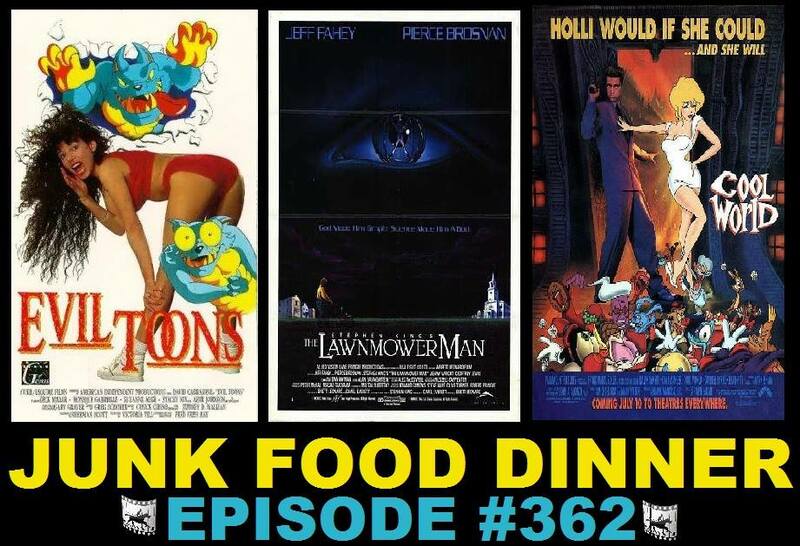 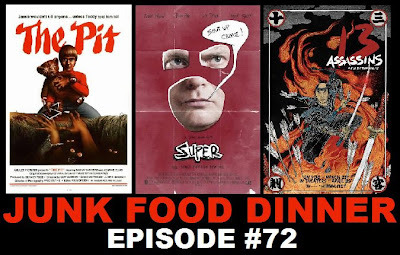 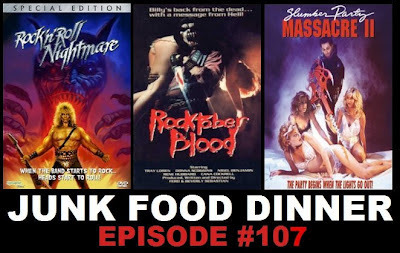 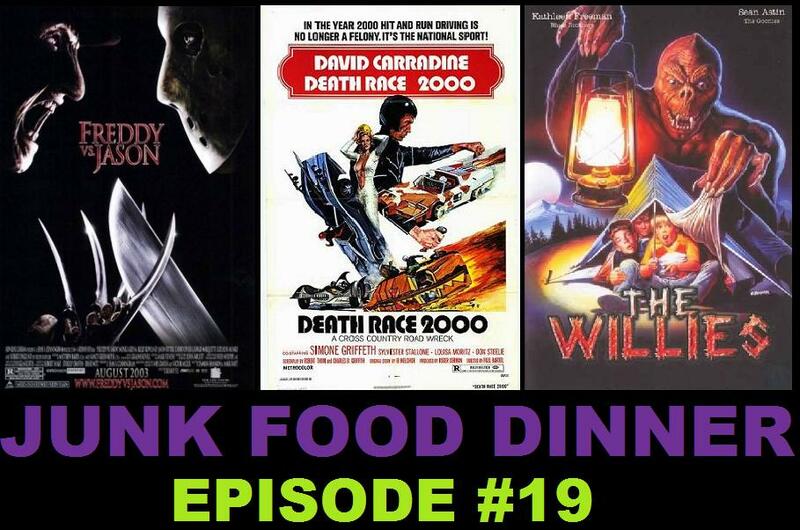 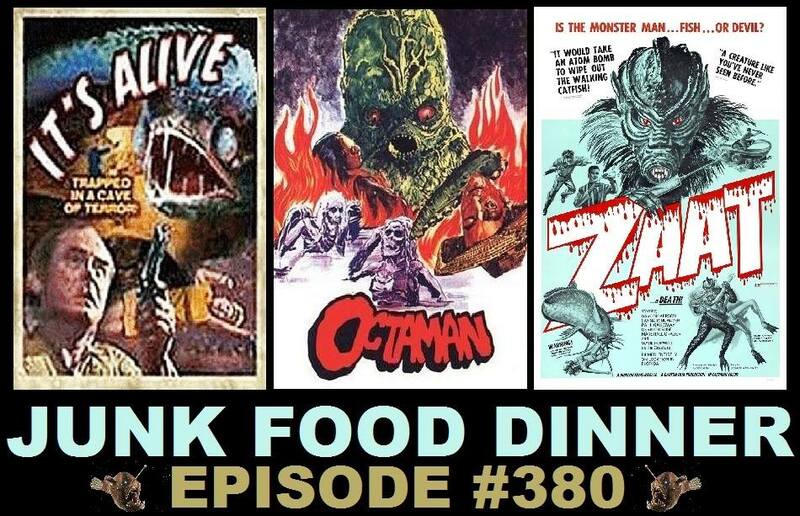 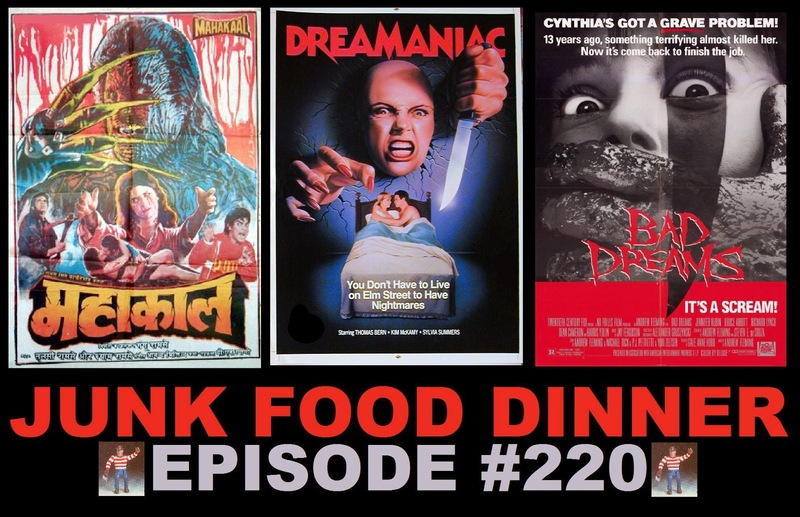 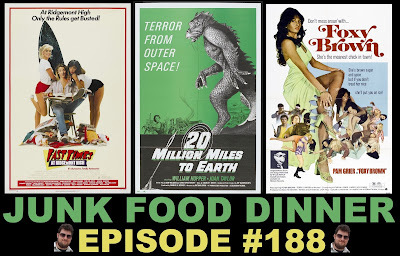 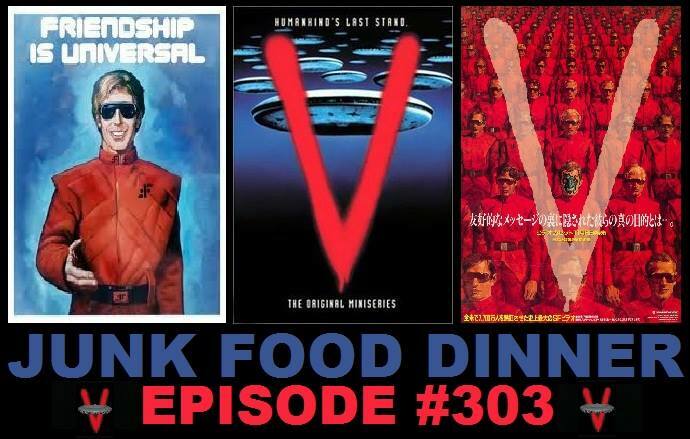 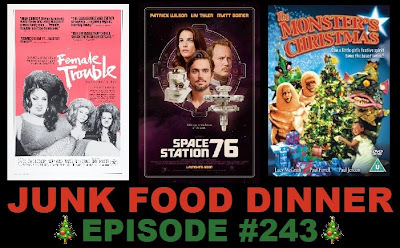 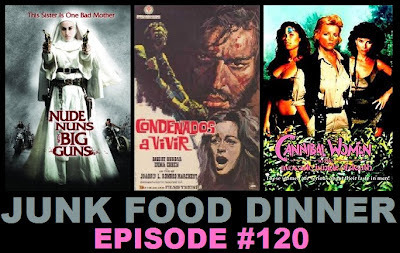 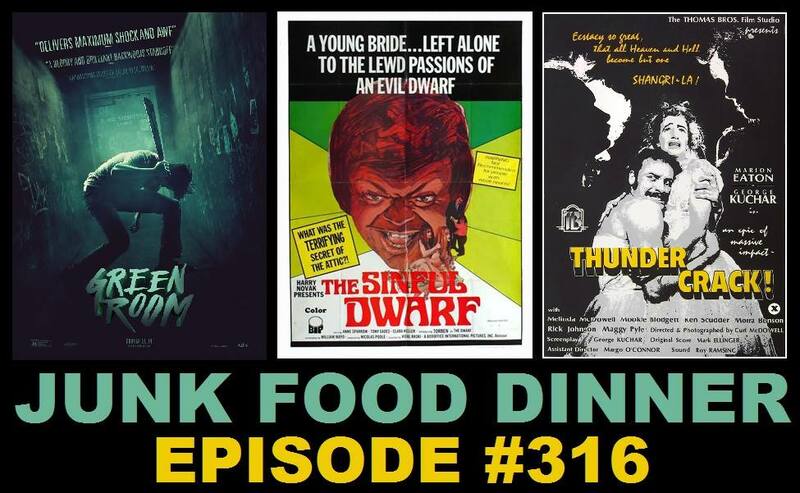 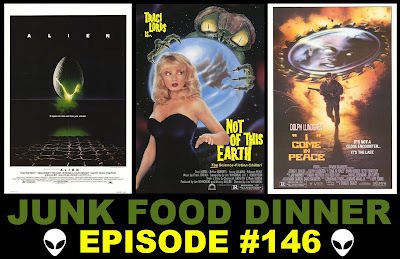 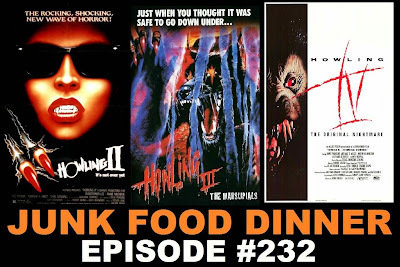 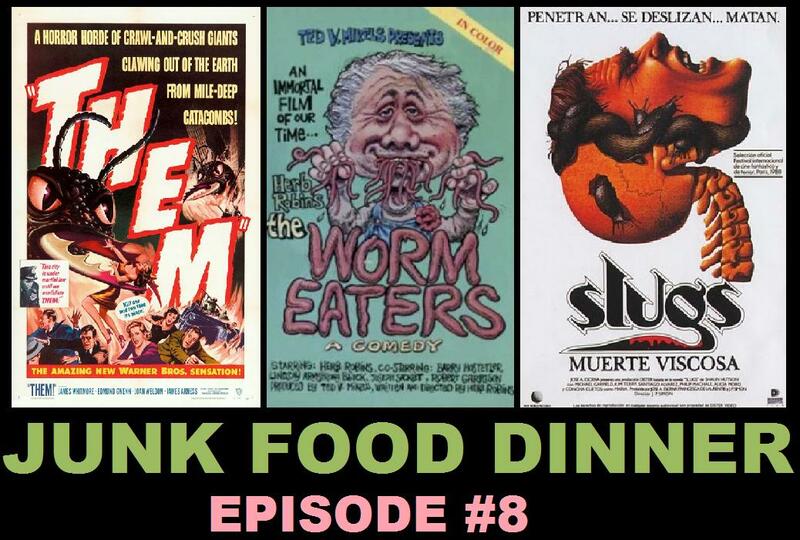 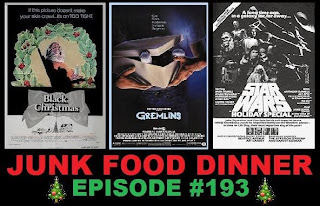 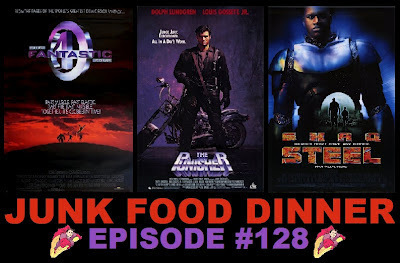 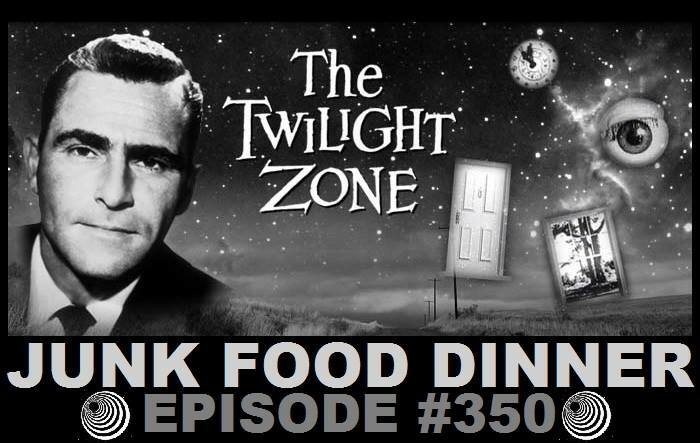 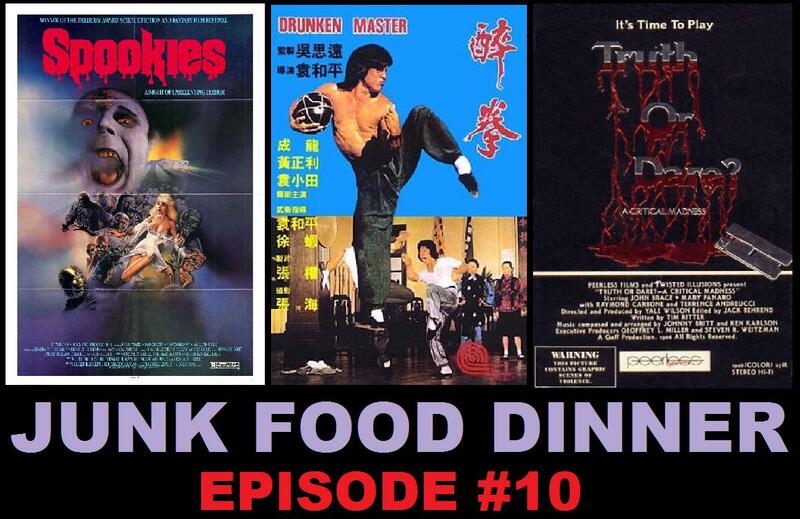 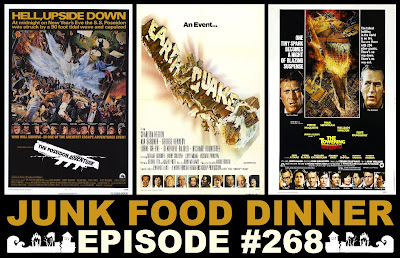 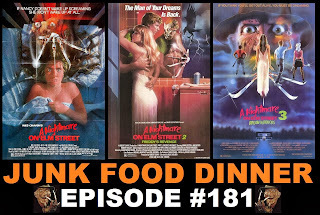 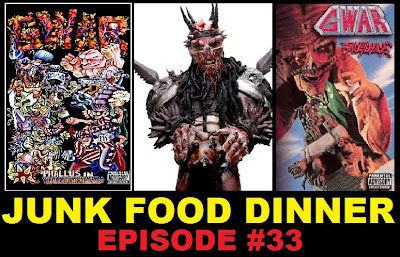 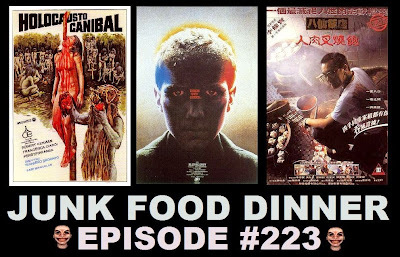 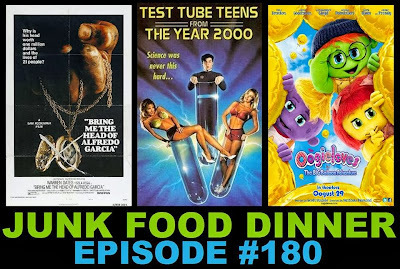 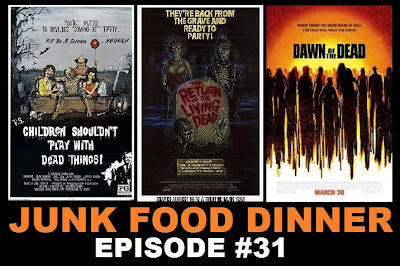 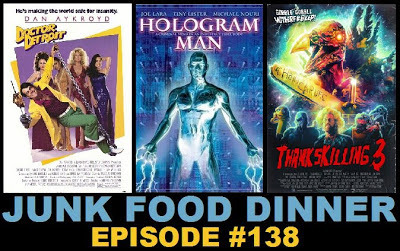 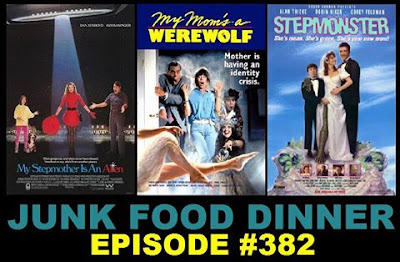 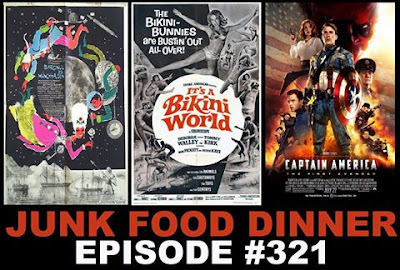 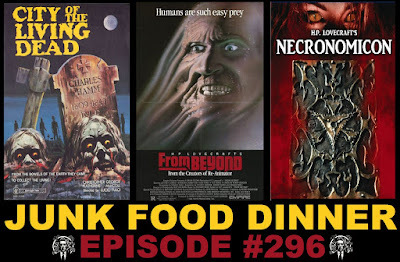 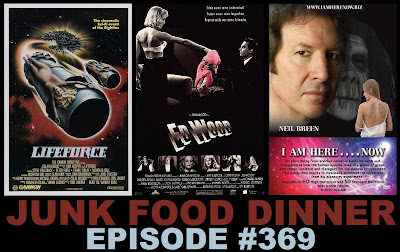 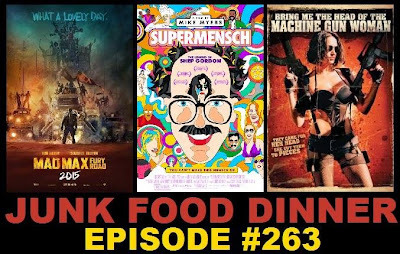 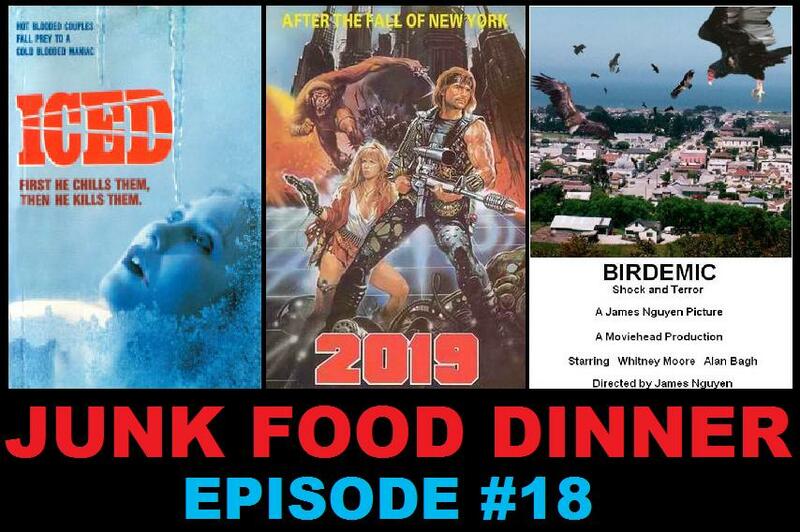 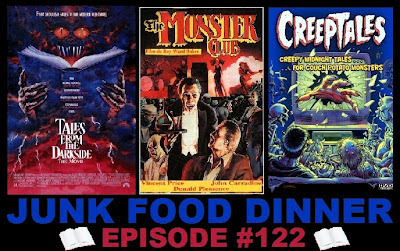 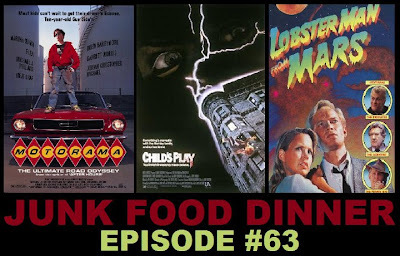 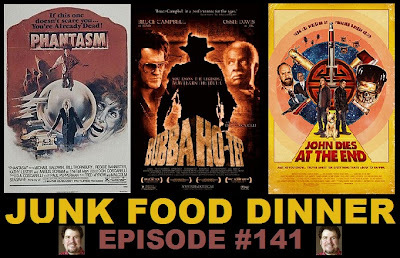 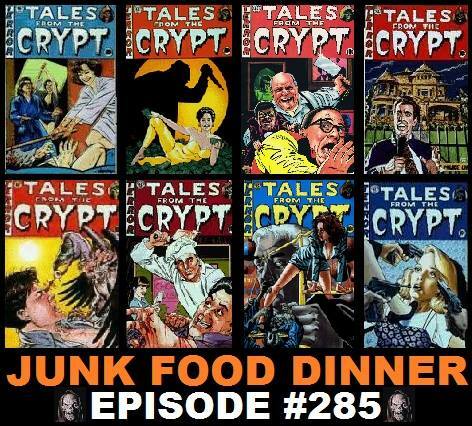 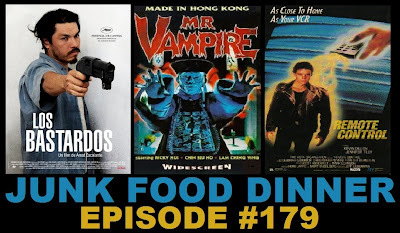 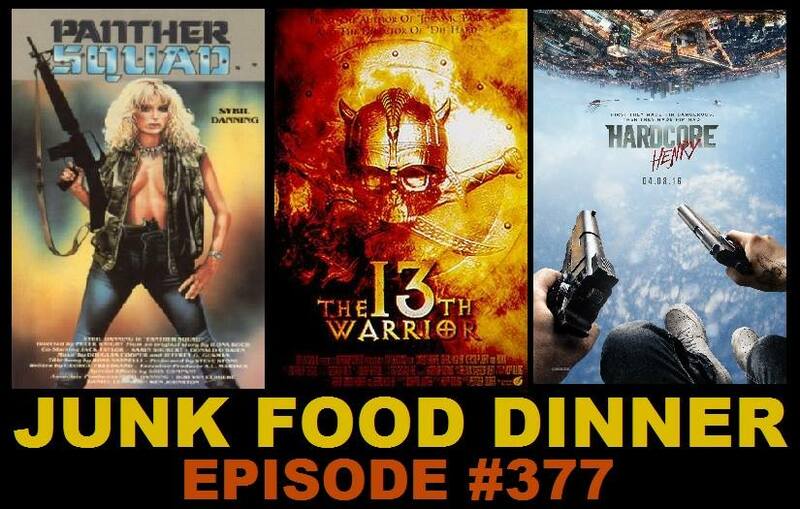 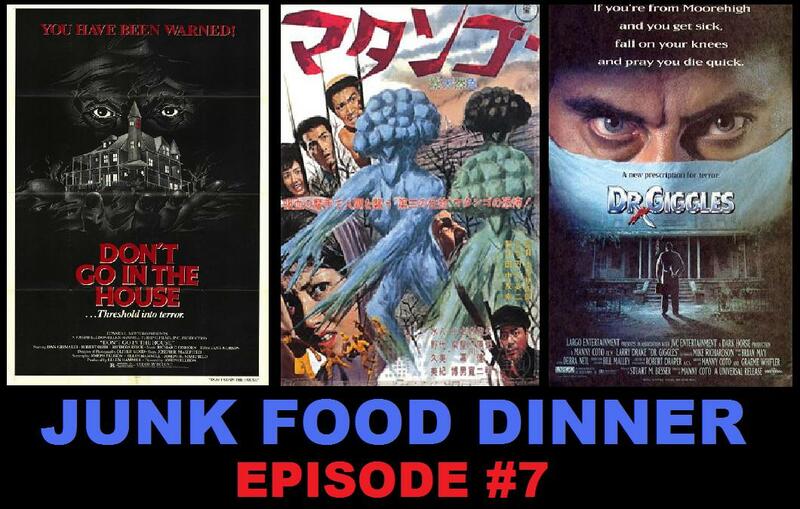 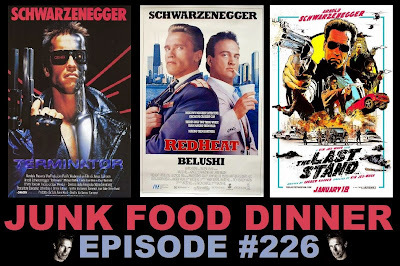 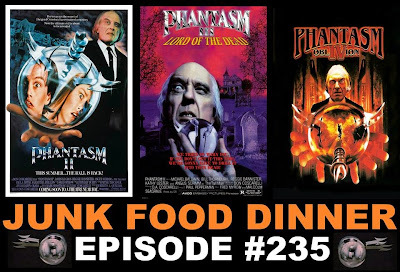 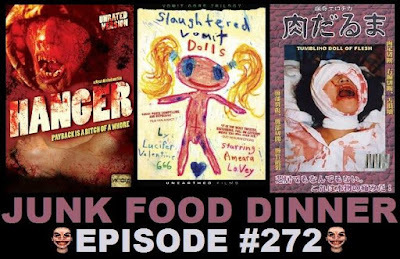 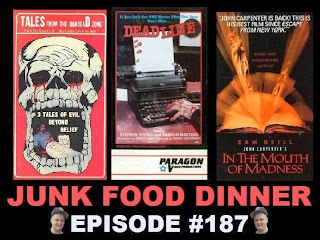 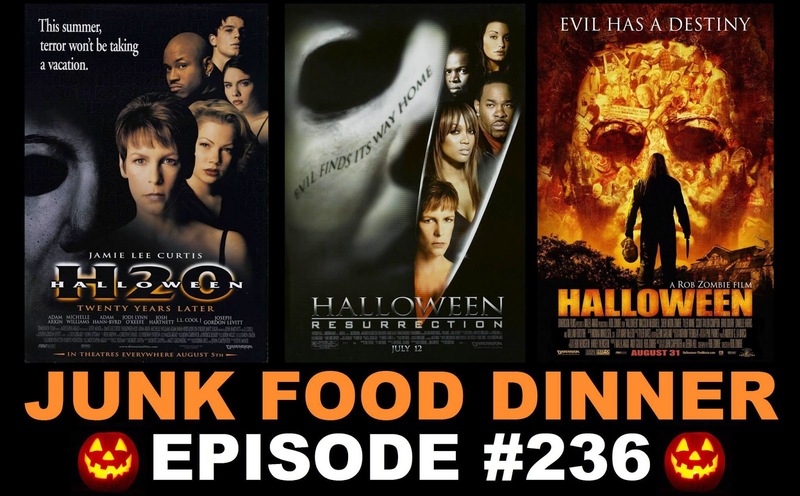 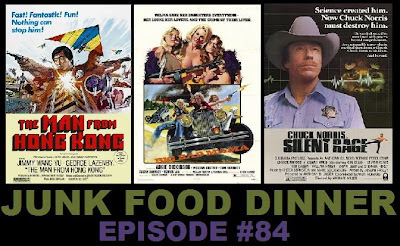 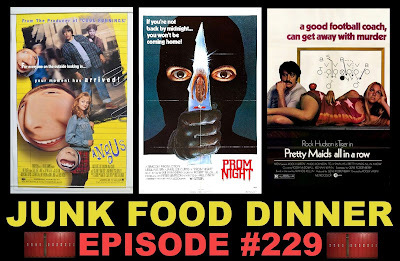 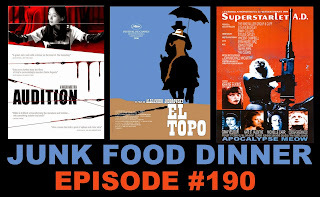 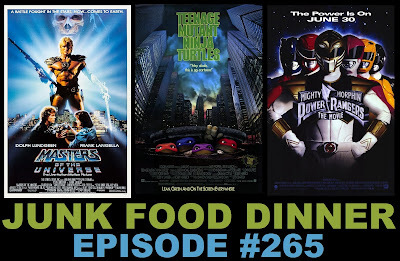 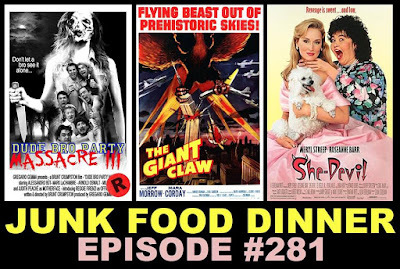 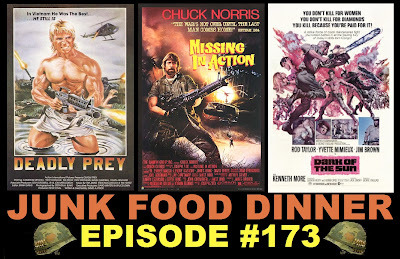 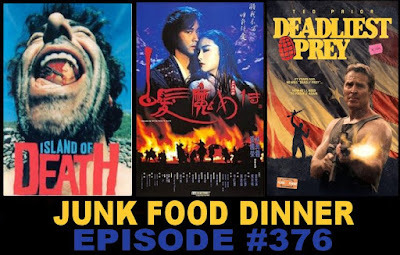 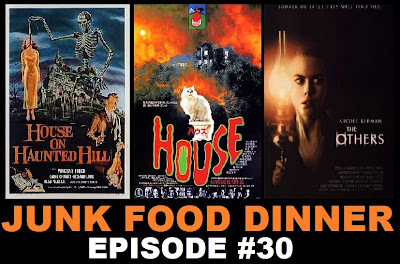 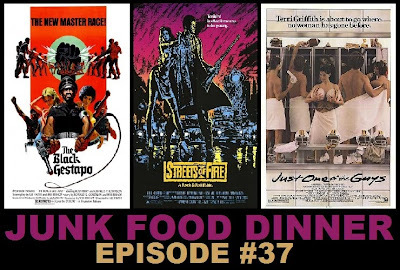 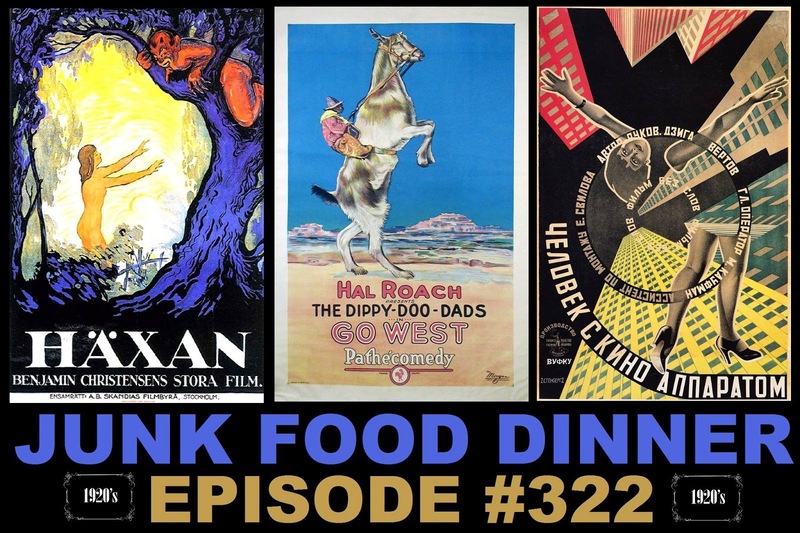 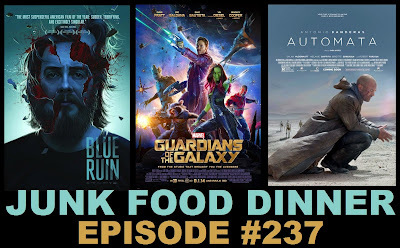 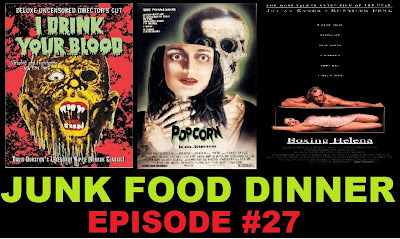 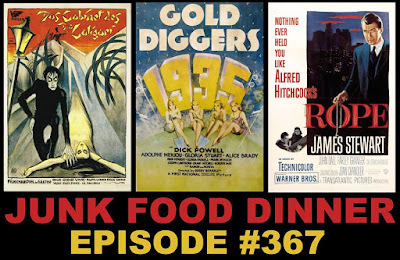 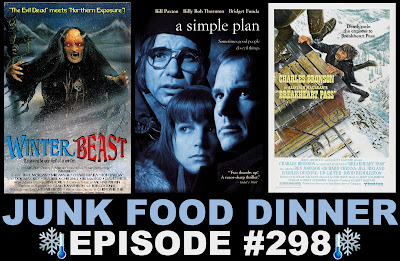 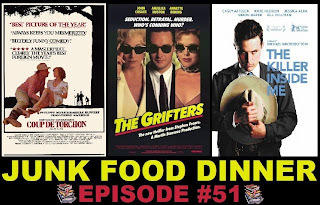 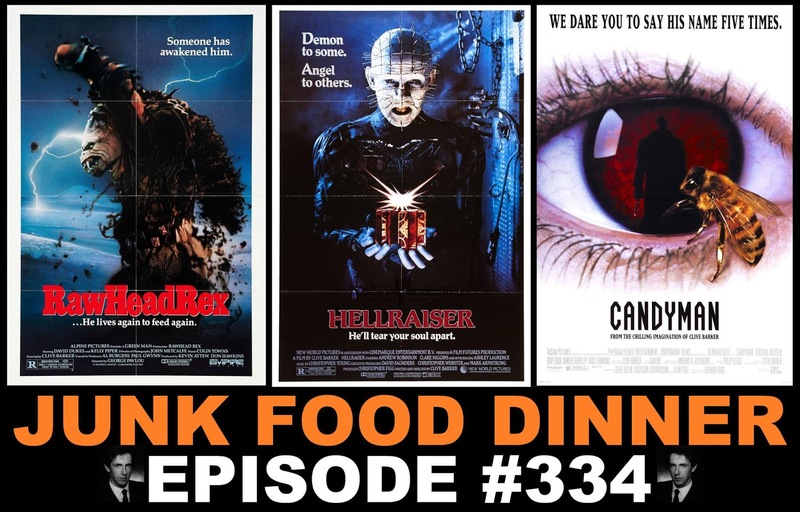 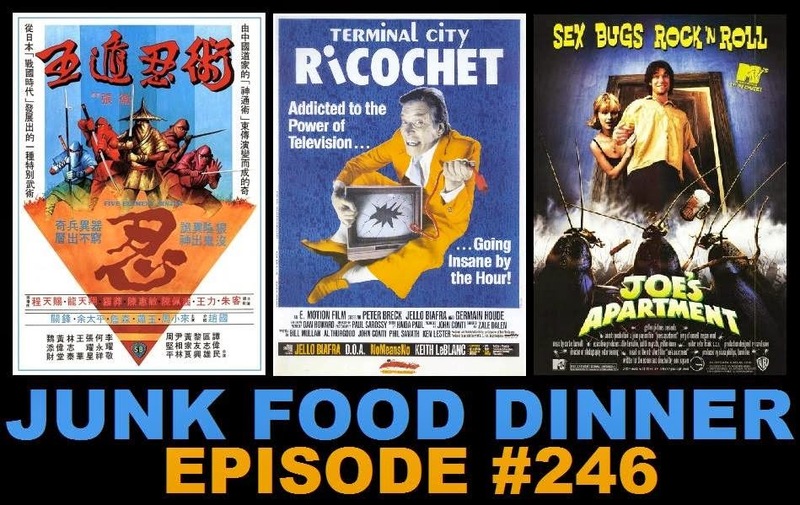 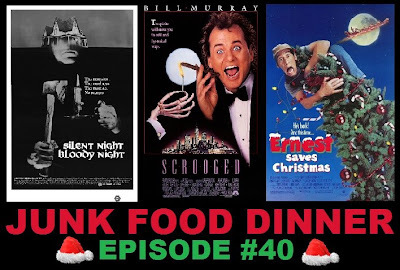 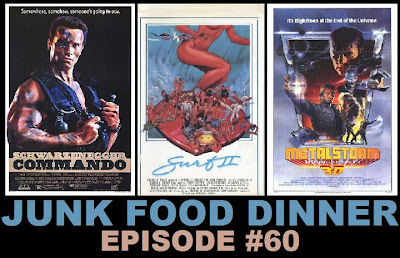 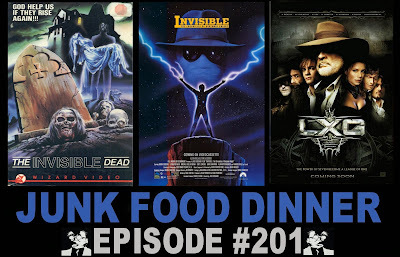 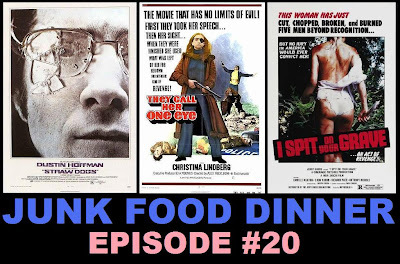 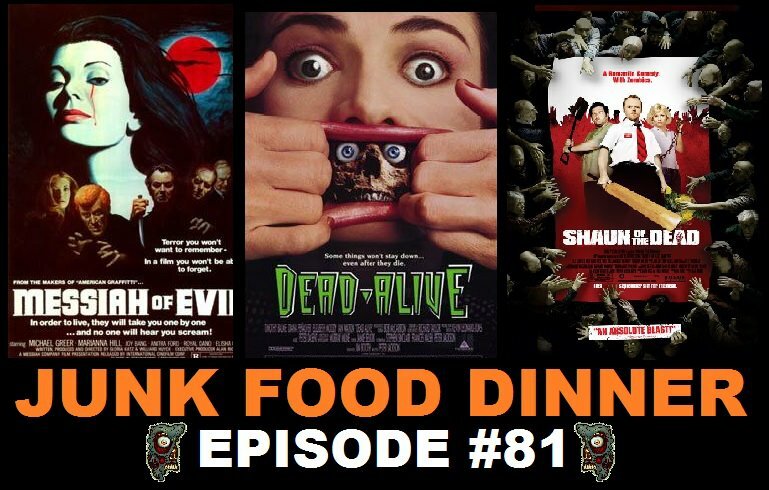 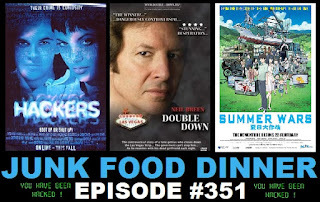 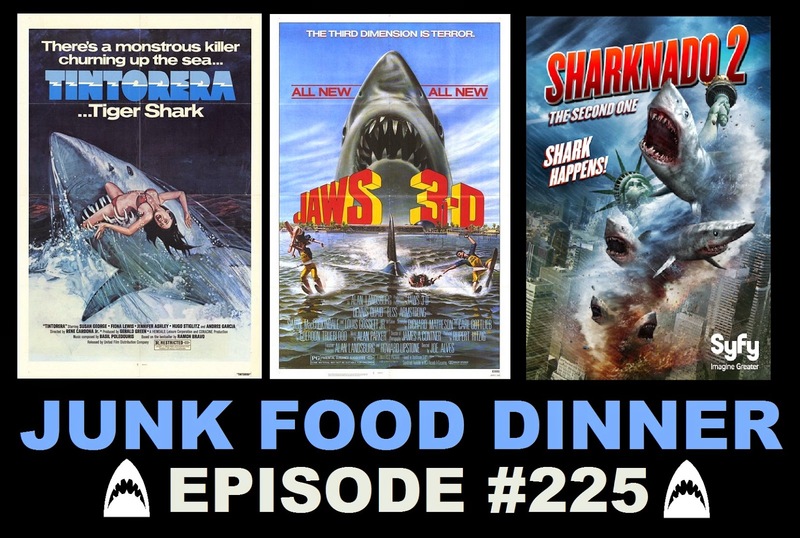 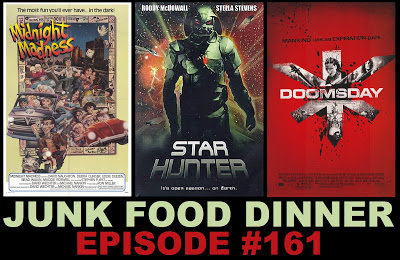 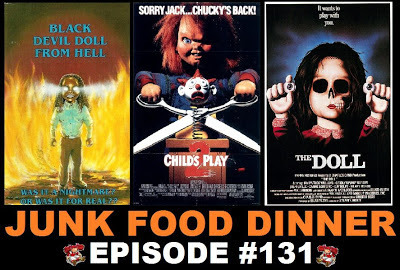 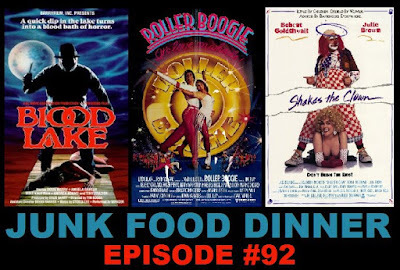 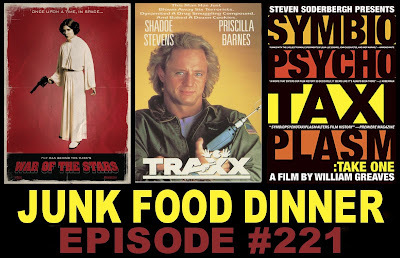 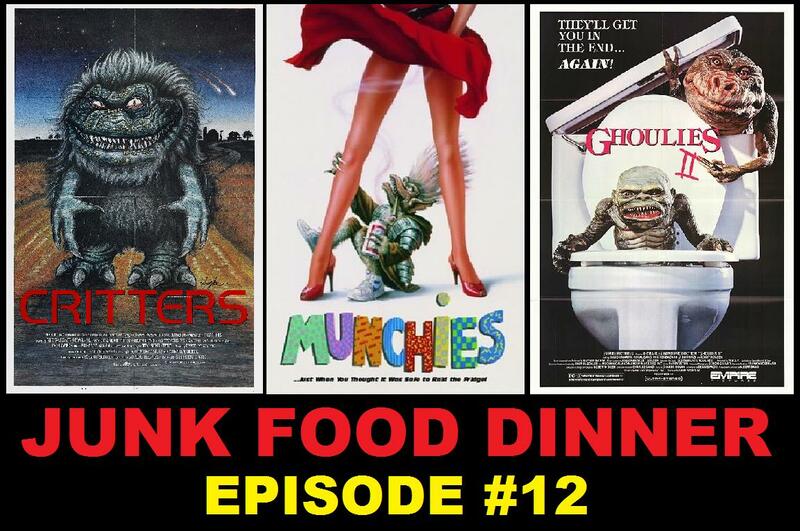 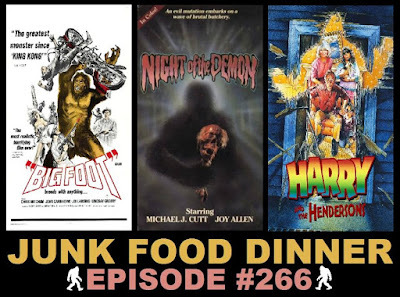 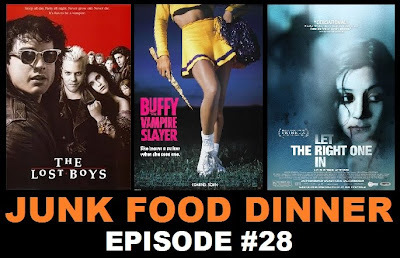 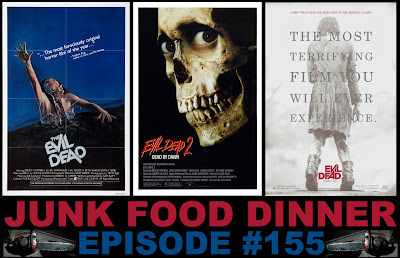 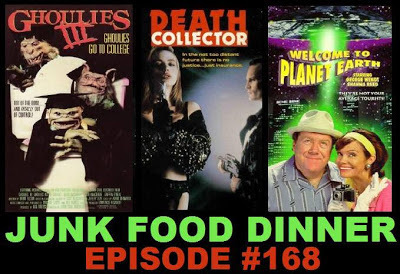 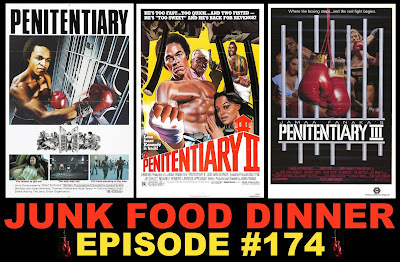 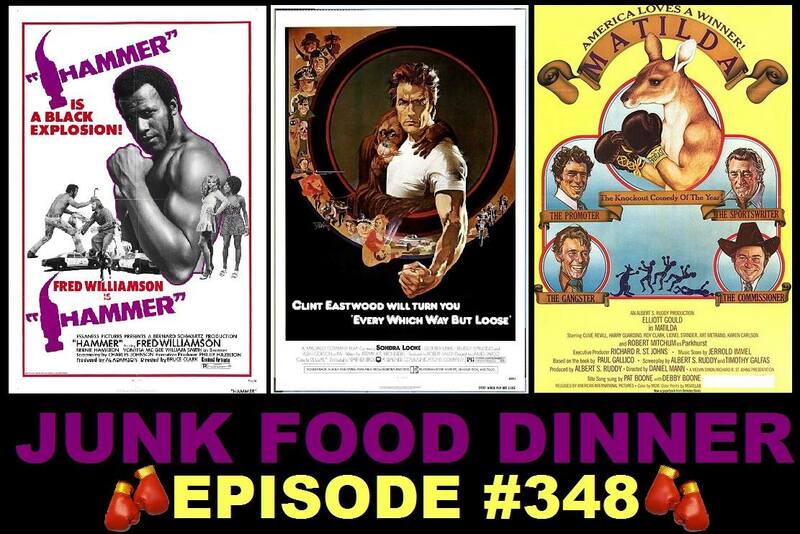 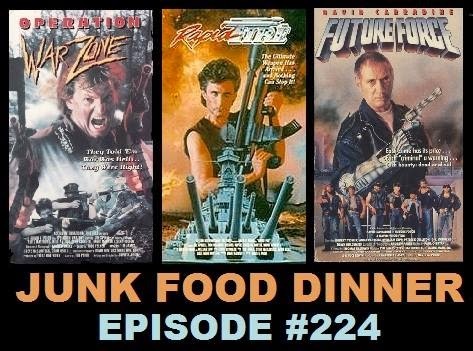 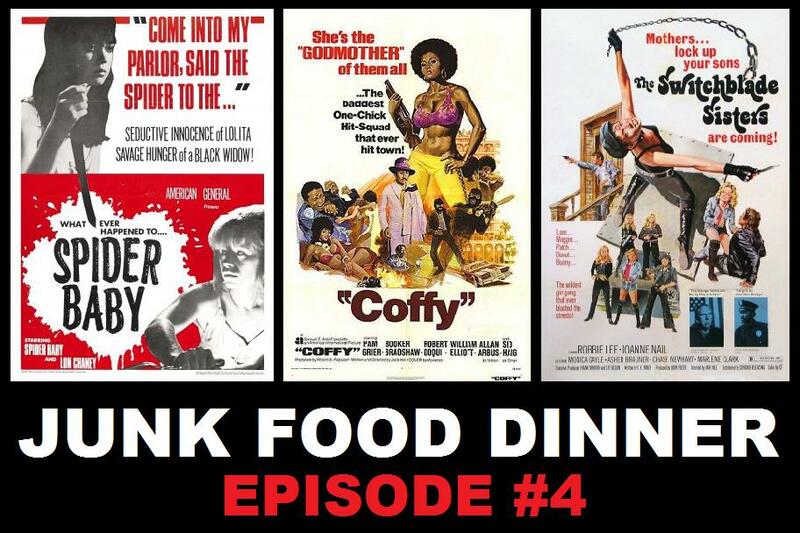 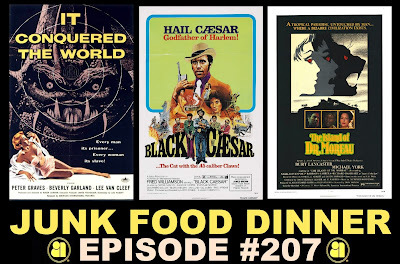 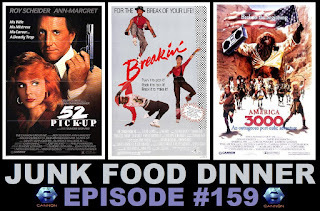 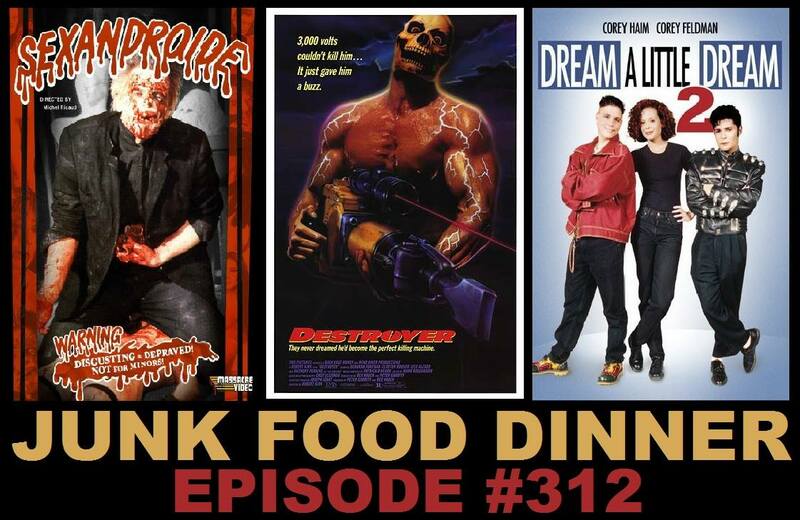 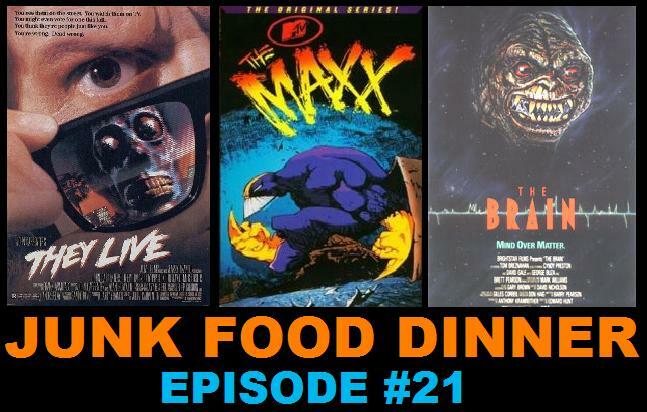 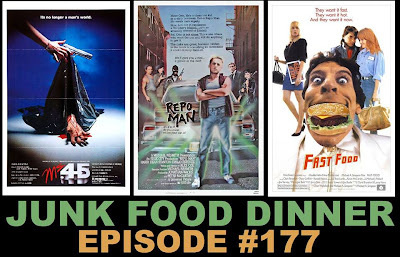 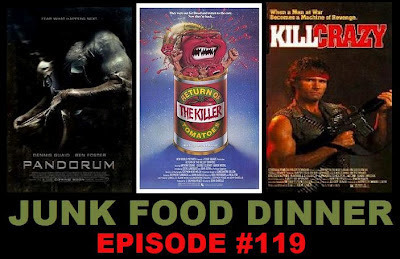 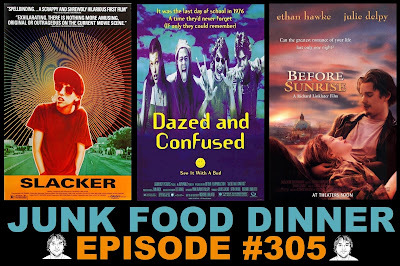 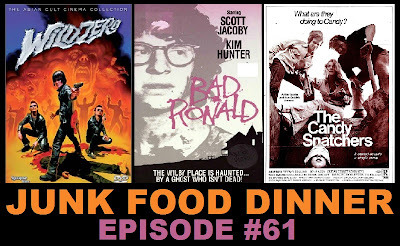 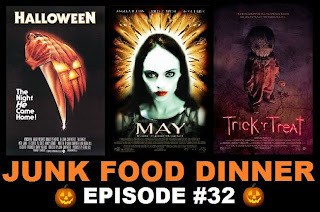 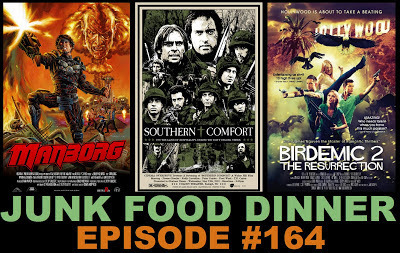 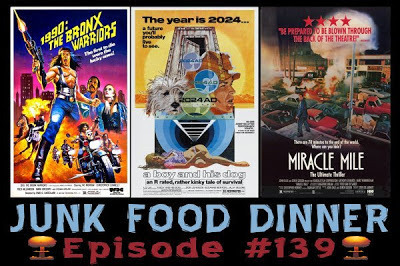 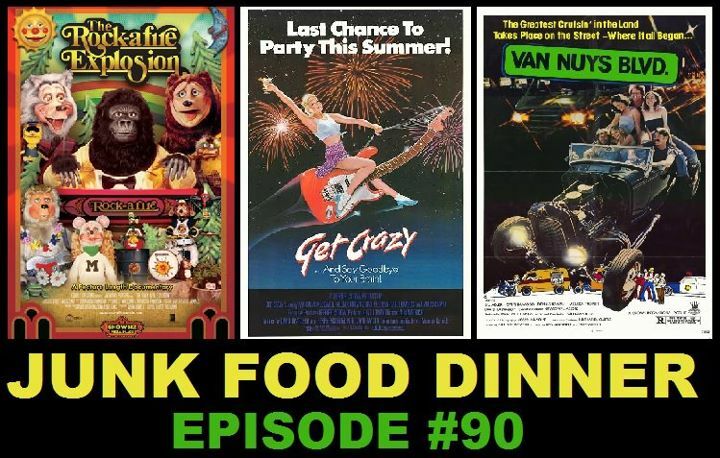 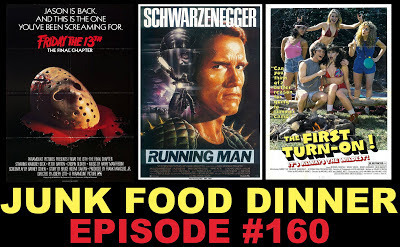 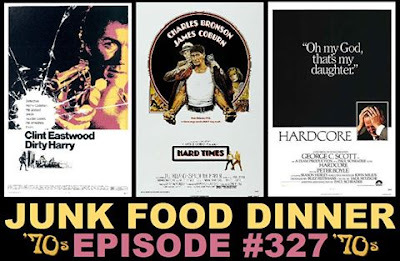 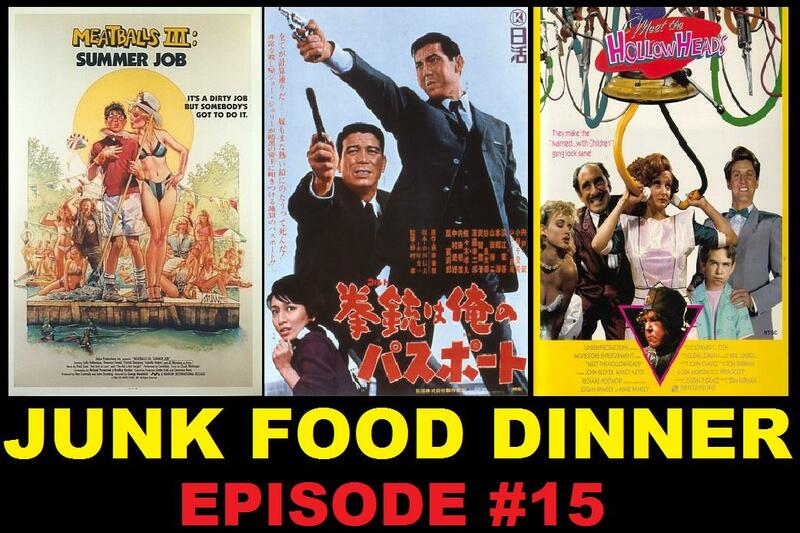 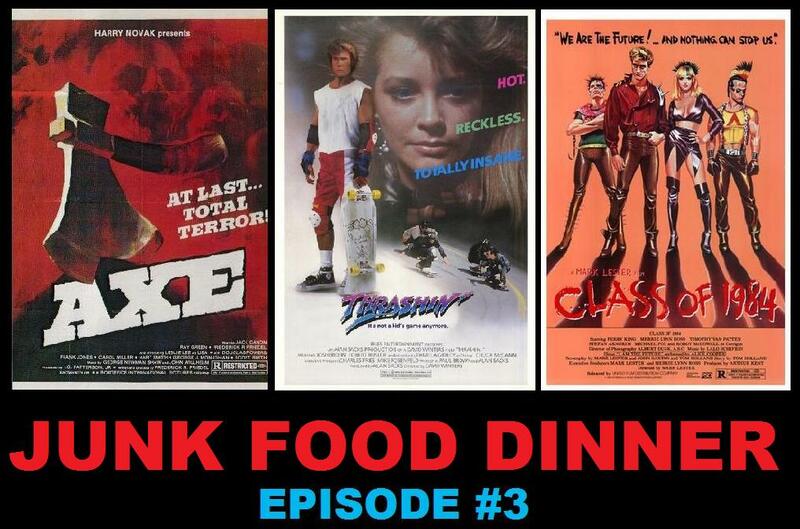 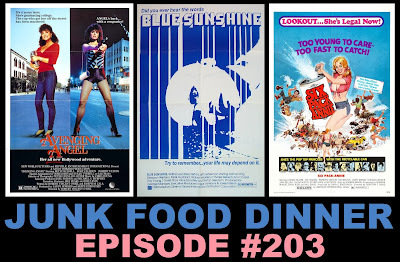 All this plus witty banter between friends, full anamorphic transfers, period blood, heavy guitar riffs, Nerd News, Blu-rays, spilling all the fruit and then spilling it again, Ghoul Summer teasers and so much more! 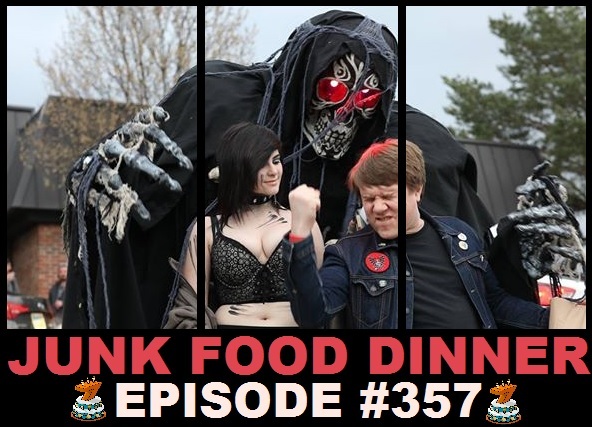 Also, if you like the show, please take a minute and subscribe and/or comment on us on iTunes, Stitcher, Blubrry or Podfeed.net.We are not only feuled by Satan but also your love and support. 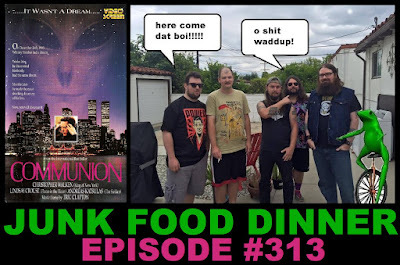 This is a really interesting unique program you did. 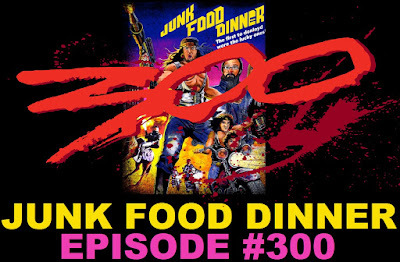 Really enjoy the show. 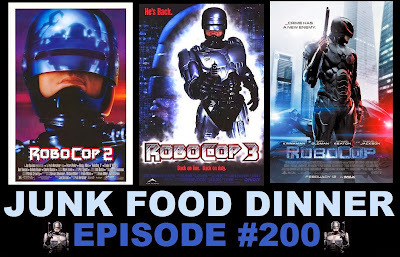 As long as the episodes are, I always get bummed when they end.